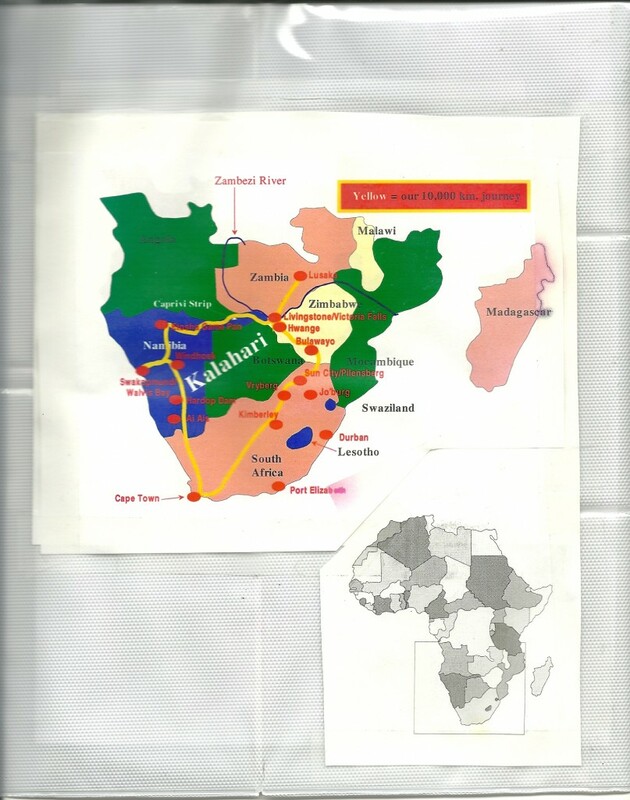 These 16 journeys started in early 1996. 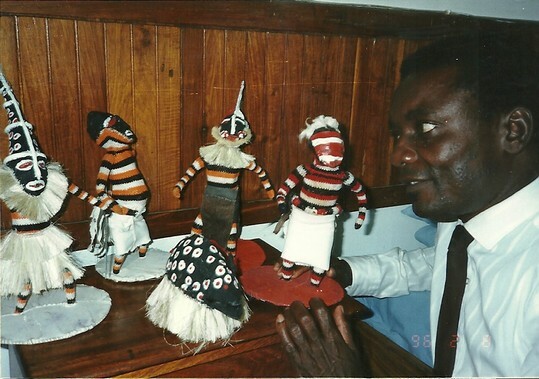 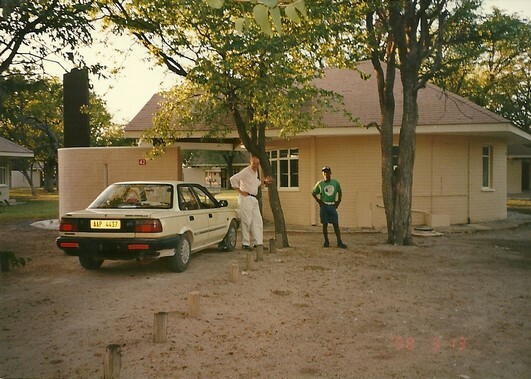 The first five visits between 1996 and 1999 started and ended in Lusaka and all begin in February and lasted between four and six weeks. 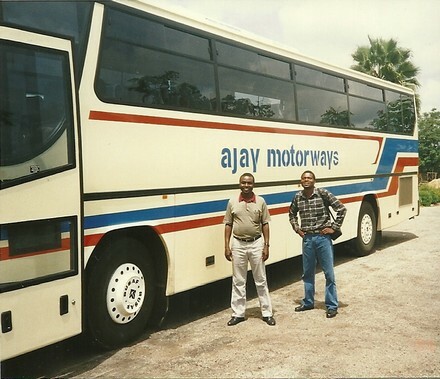 Most of the 11 trips thereafter were shorter (ten days to a fortnight) and started and ended in Johannesburg, South Africa, which had became much easier and cheaper. 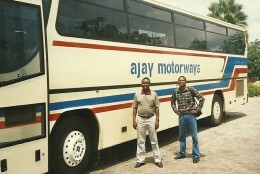 None led me back to the NorthWestern Province again; only as far north and west as Kitwe. 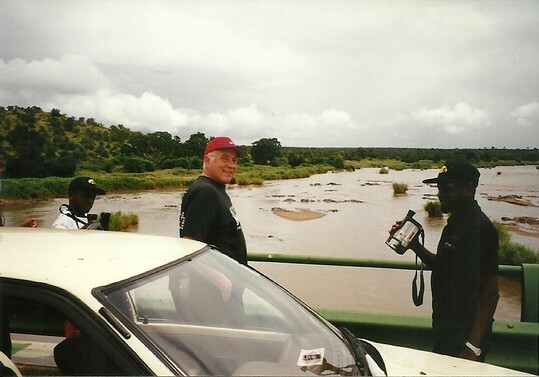 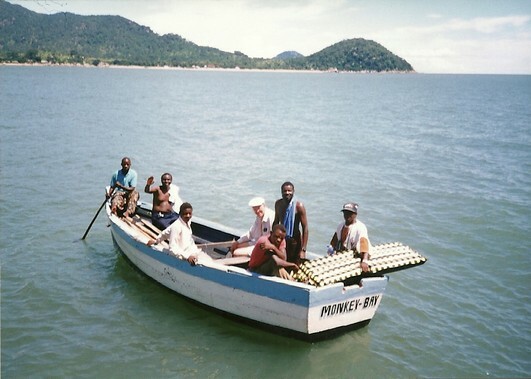 Although all these southern African travels, especially the four longest ones between early 1996 and the end of 1999, were somewhat adventurous, I was always accompanied by friends, many from the NWP, and always felt very safe. I also met friends all along the way on each trip; many who had resettled in South Africa or Botswana from the NWP / Zambia or the USA. 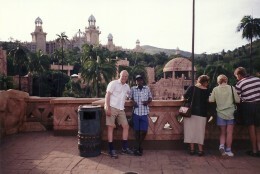 Friends traveled with and met throughout southern Africa on these trips. 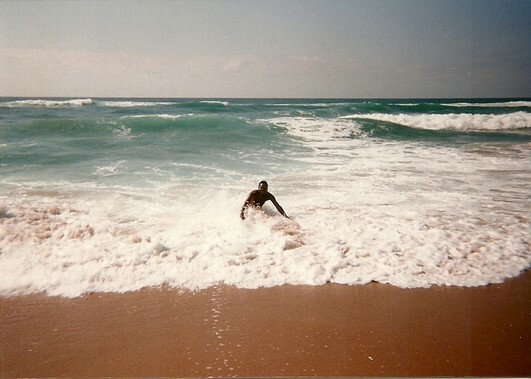 I rarely was alone. 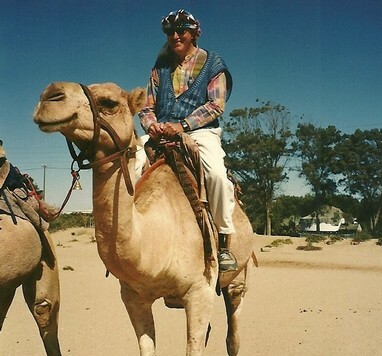 Animals and plants — only the most memorable. 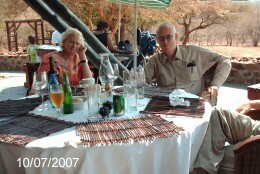 Major tourist spots and cities visited repeatedly with friends, in the following order: Livingstone / Victoria Falls / Hwange Game Park; south African cities: Johannesburg (Jo’burg) / Pretoria / Cape Town; and Gauteng tourist areas of Sun City and a farm camp in the middle that was inexpensive and easy to get to. 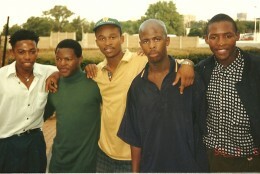 Early 1996 to late 1999. 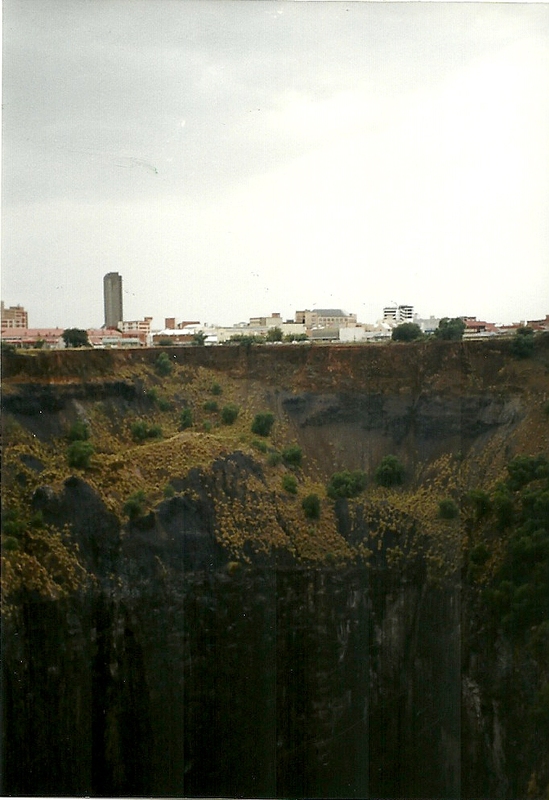 Pictures and narratives of places that I visited only once appear after these composites — in chronological order. These include: Zimbabwe, Malawi, Namibia, Durban and Port Elizabeth. 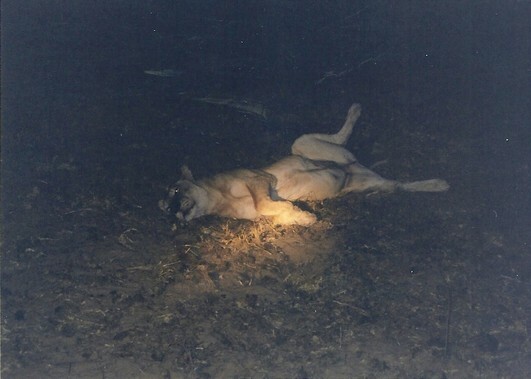 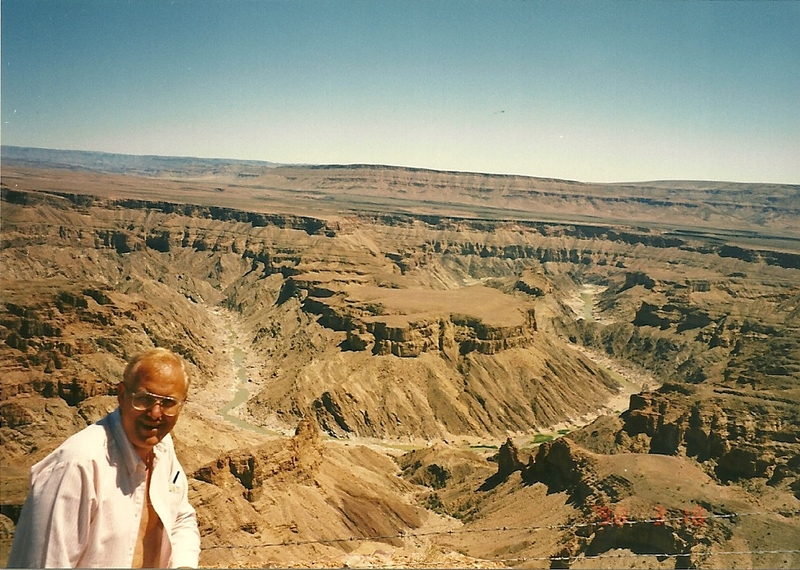 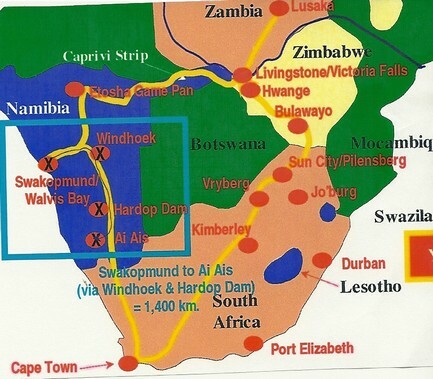 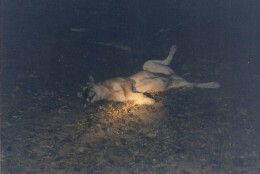 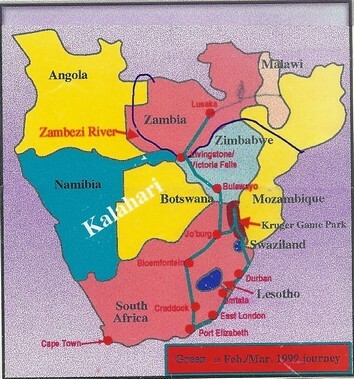 1998 (23rd to 10th April): “10,000 miles around the Kalahari ” through Namibia and S.Af. 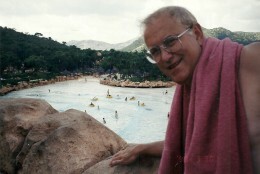 (esp. 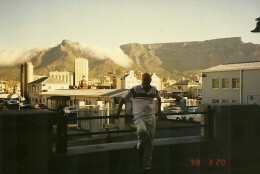 Cape Town) by car. 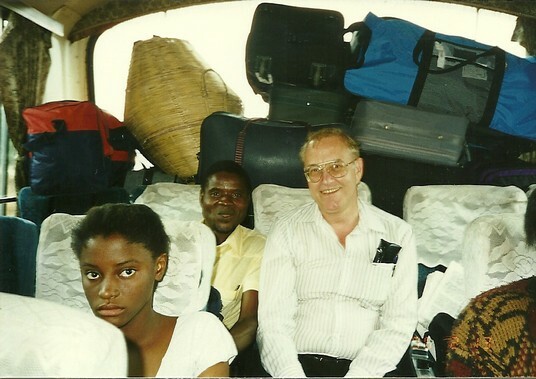 The most interesting trip. 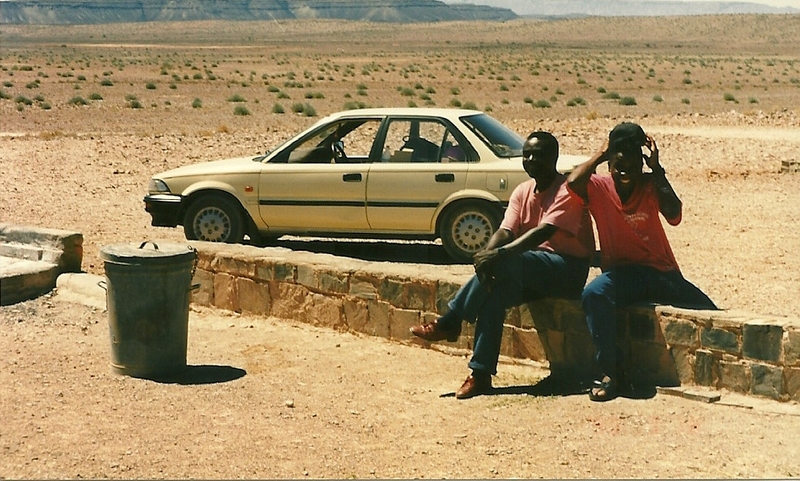 Stanley Kamboyi (from Chavuma in the NWP), Alexander Ajibu (from Malawi) and I literally circumnavigated the edges of Kalahari desert. 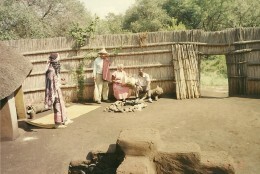 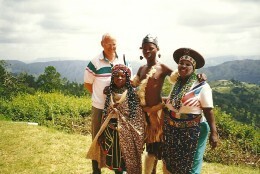 Friends traveled with and met throughout southern Africa. I rarely was alone. 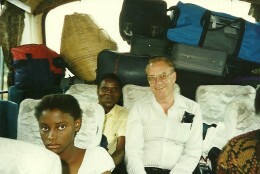 My travel companions were generally between one and four; all that could fit into a Toyota Corolla! 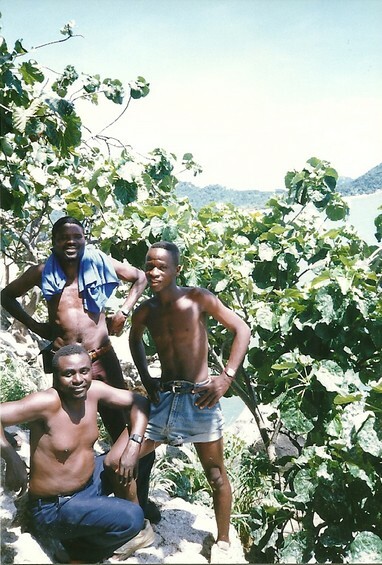 Most often, these were: Stanley Kamboyi (an excellent ex-military driver from Zambia), Petulo Njovu (also from Zambia), Alexander Ajibuh (a clown!) 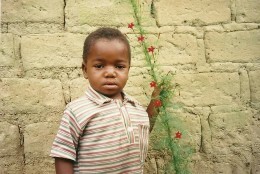 and Robert Size George (both from Malawi). Also, on several several occasions David Carlson from Iowa joined us. 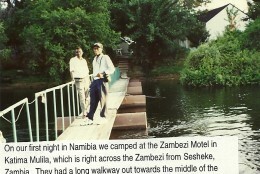 Lusaka, Zambia: beginning and ending of trips. 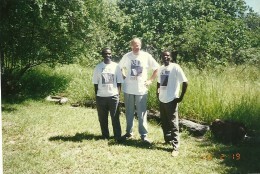 The first four trips started and ended here and I was always met and entertained by many old friends. 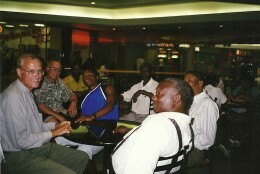 Some of these friendships went back to the 1960s in the NWP. 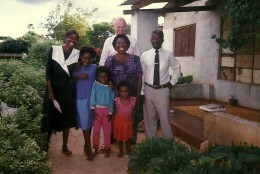 These included the following men and their families. 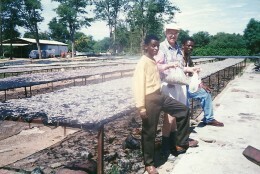 On many trips, we passed through Livingstone on our way south to other countries. 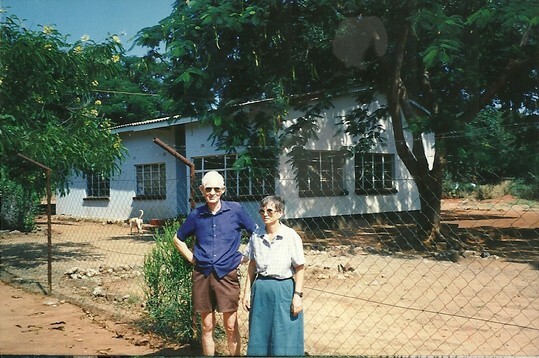 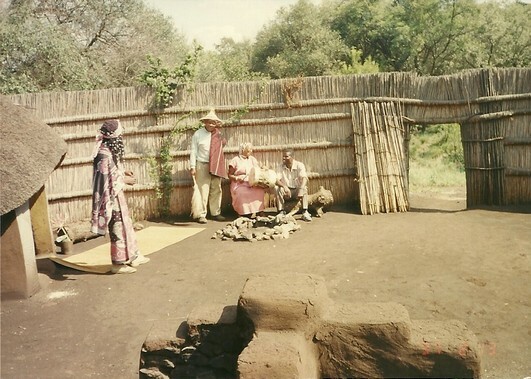 We often saw Denys and Margaret Whitehouse, who started Lubasi Home for orphan children. 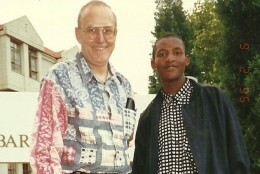 I also met Myers Mudenda, who I knew when he was in college in America. 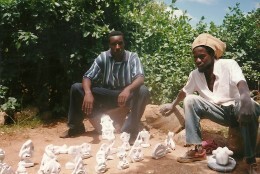 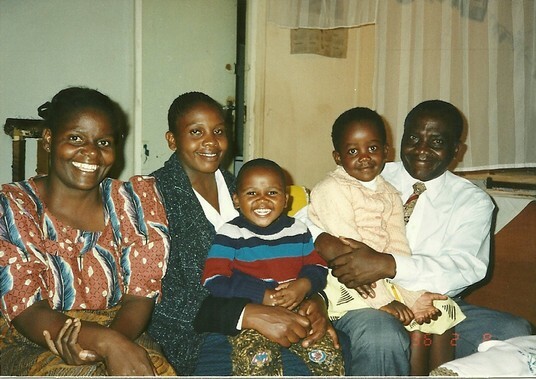 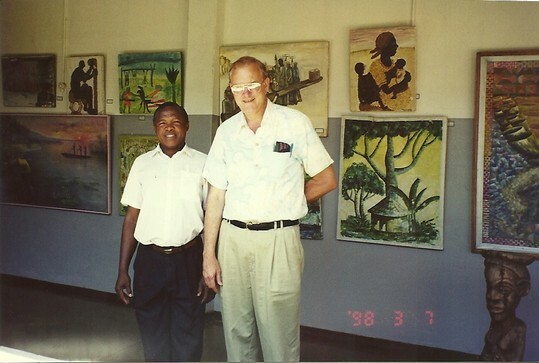 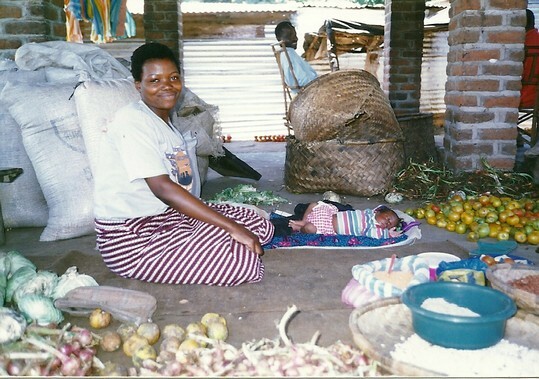 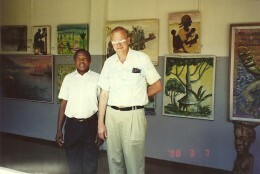 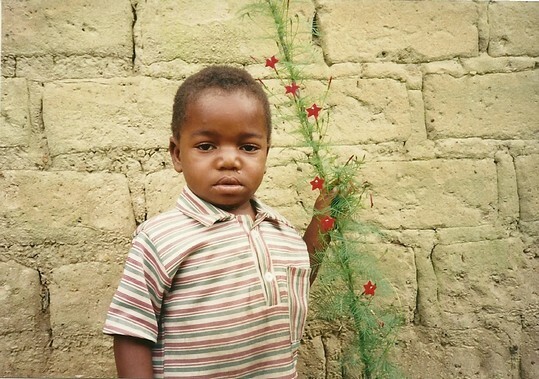 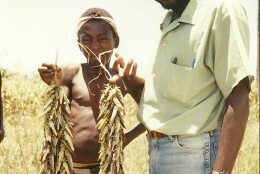 On the right is a fabulous picture of Petulo Njovu’s youngest son taken behind their home in Kitwe, Zambia. 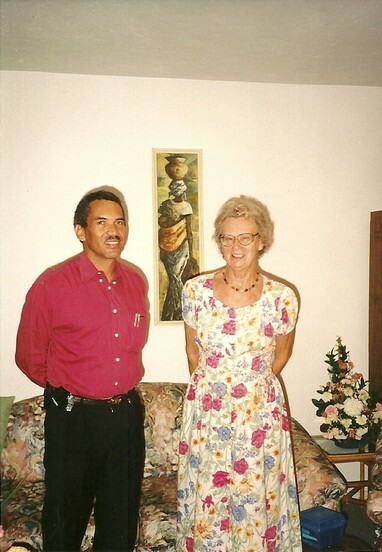 Muriel Sanderson and I have been friends since my earlier days in Zambia in 1963 when she lived in Kitwe and I came to the Copperbelt and visited her home when getting supplies for Solwezi and Balovale (Zambezi) Secondary Schools. 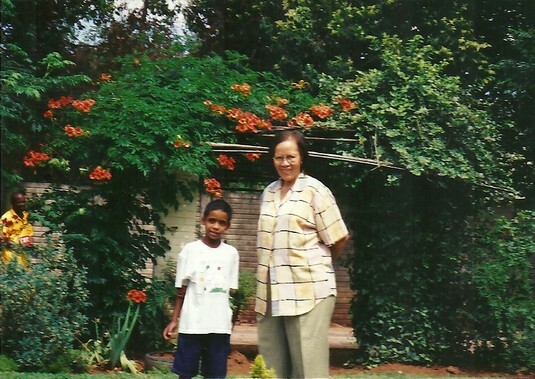 By 1997, she had just retired to Gaborone, Botswana, to be with her sister, nephews and niece. 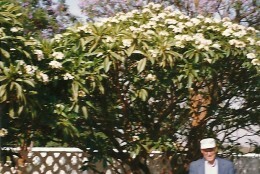 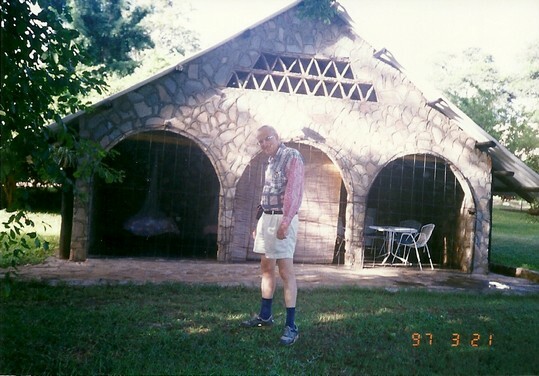 These pictures were all taken in or near her home in the years following. 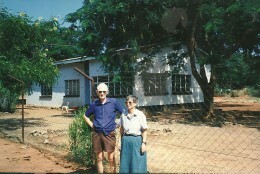 Fred and Sue Morton. 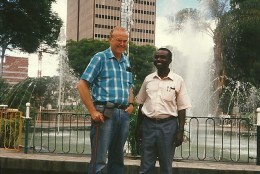 As noted on a prior page, Fred and I worked on our doctorates at Syracuse University. 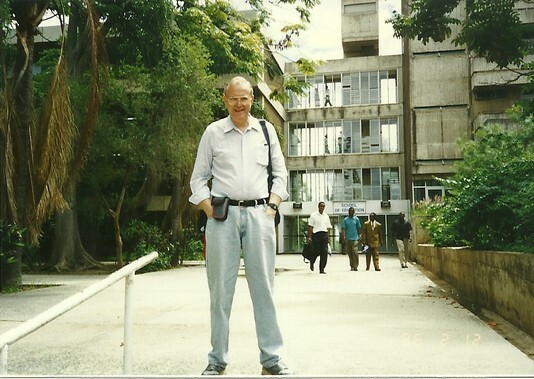 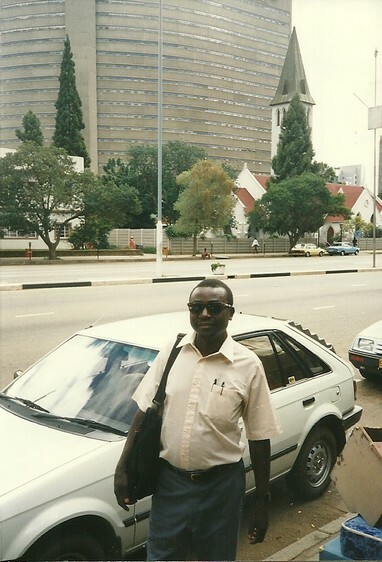 For many years thereafter they lived in Gaborone, Botswana, while he taught at the University of Botswana (UB), but returned to America to teach in between Botswana teaching tours. 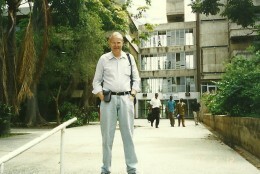 He then became UB’s Professor of History. Without his encouragement and gentle pushing, this website on the NWP would not have been created. 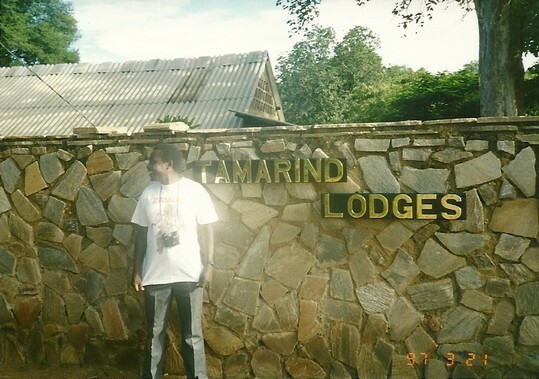 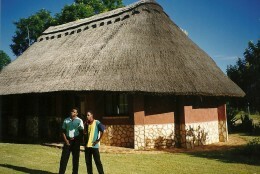 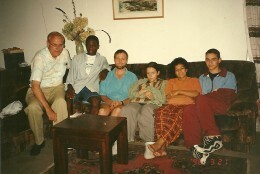 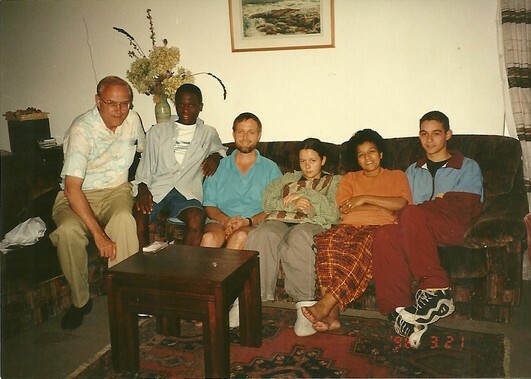 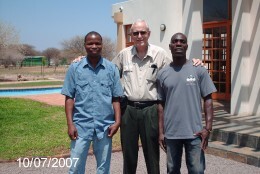 For many of my visits, they opened their guest house to me and my friends from Zambia and Malawi. 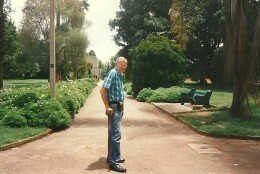 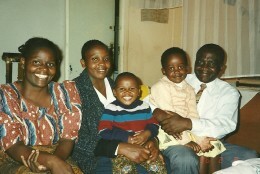 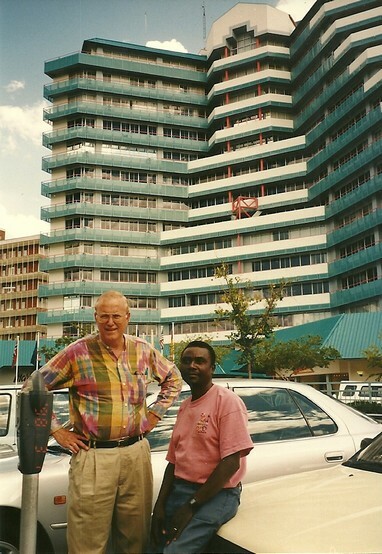 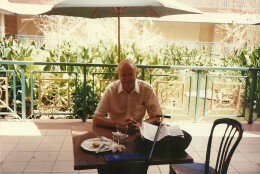 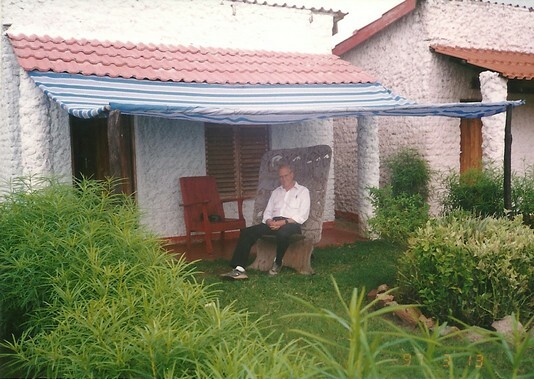 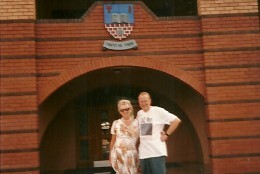 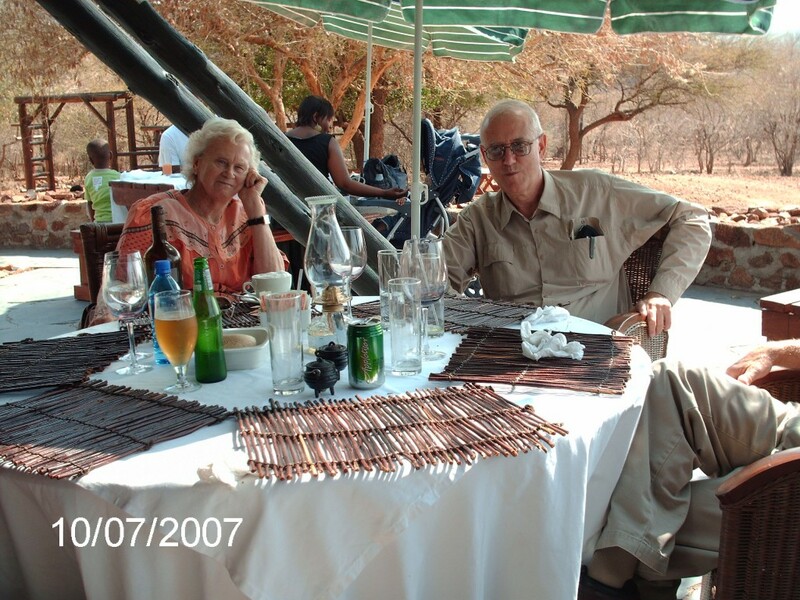 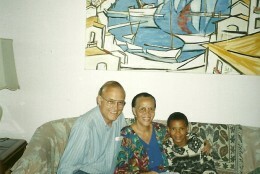 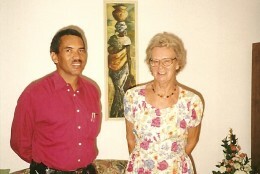 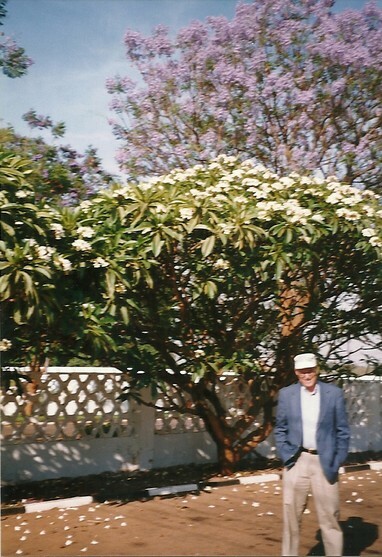 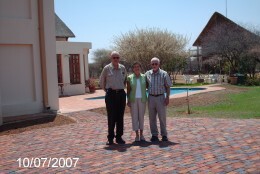 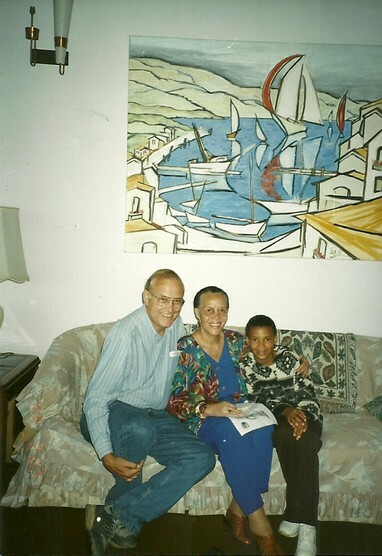 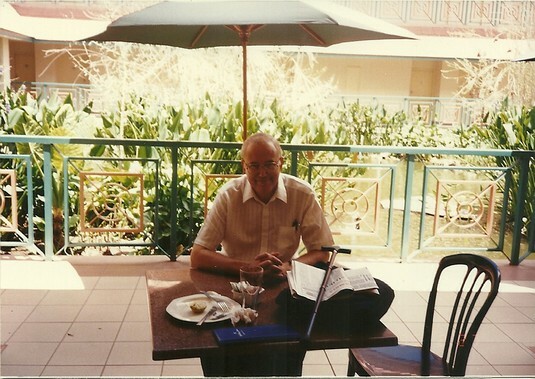 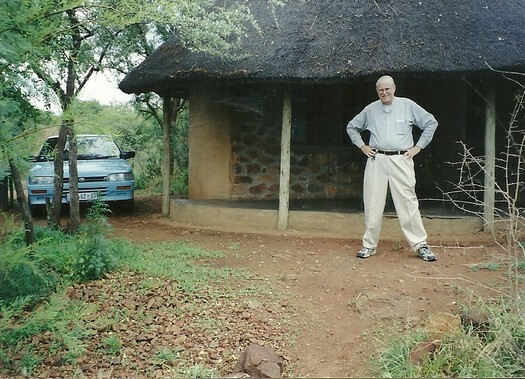 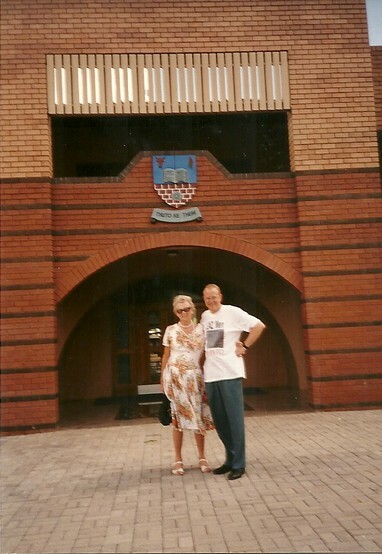 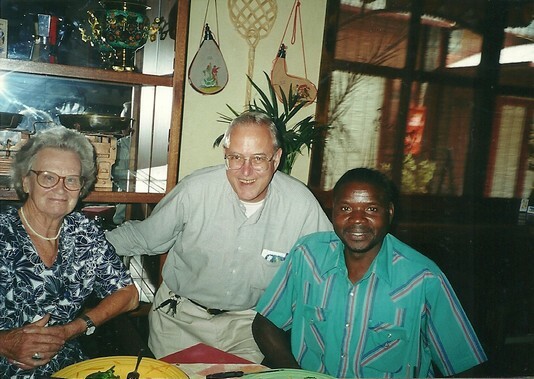 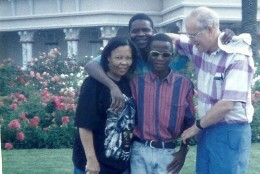 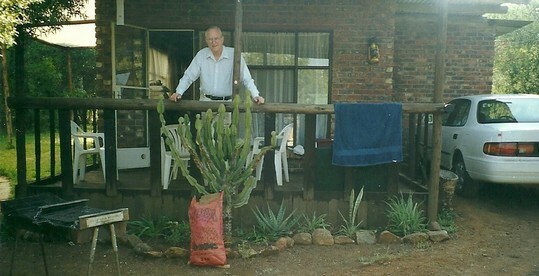 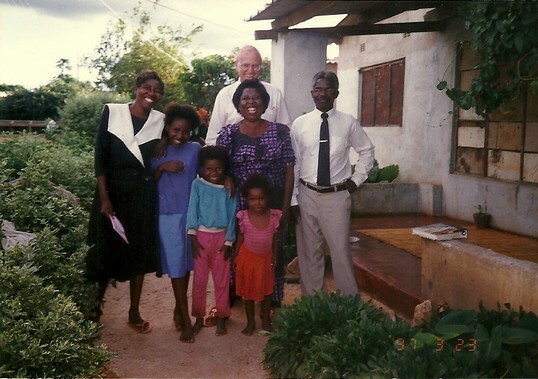 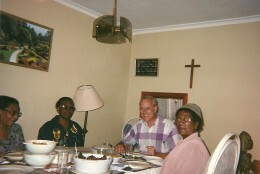 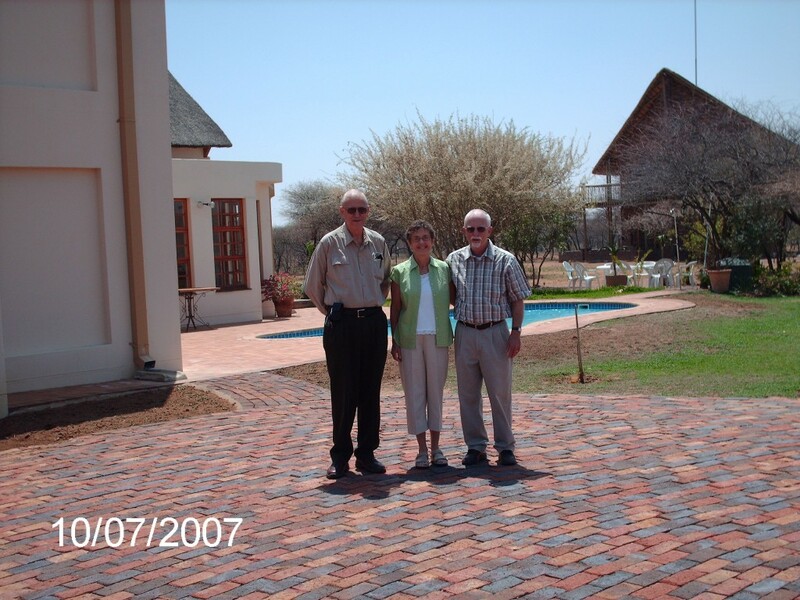 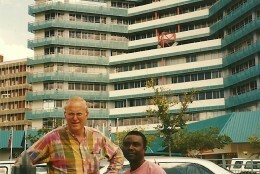 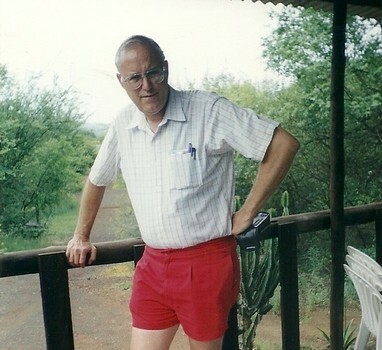 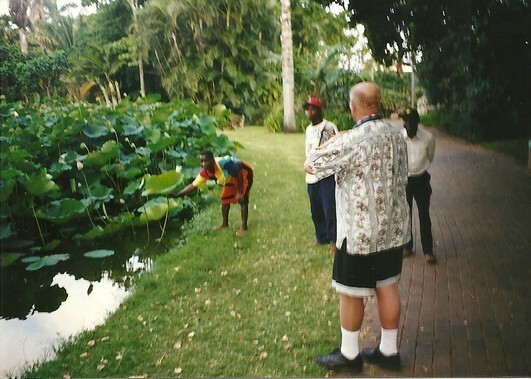 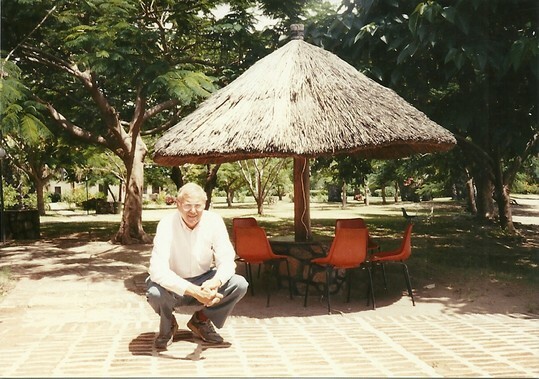 With both Muriel and Fred and Sue all living in Gaborone, my later trips generally included visits. 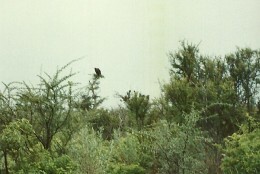 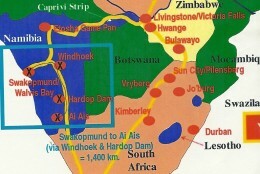 Mokolodi Game Reserve (Botswana) and Brits (South Africa). 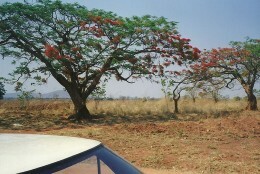 Brits is in S.Af., but only a two hour drive east of Gaborone. 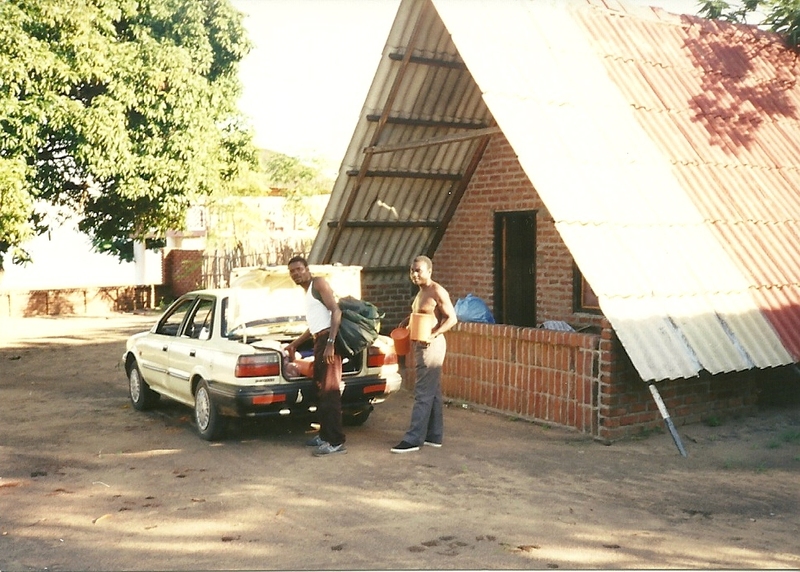 It was a frequent stop for me as it was the nearest town to the farm camp where I frequently camped. 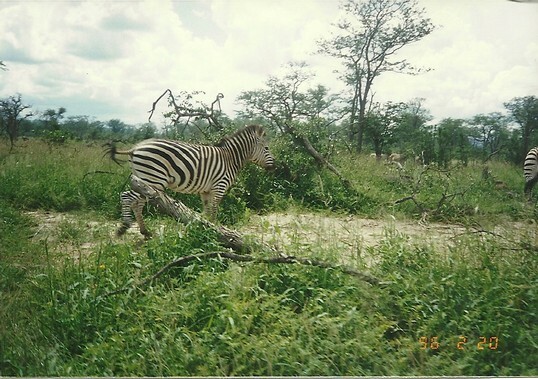 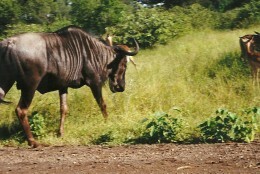 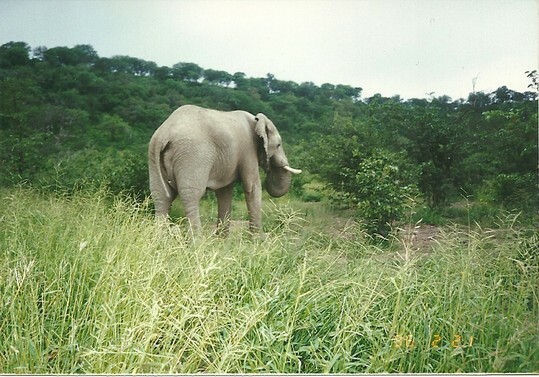 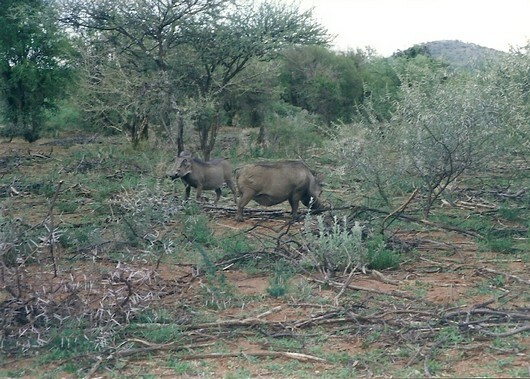 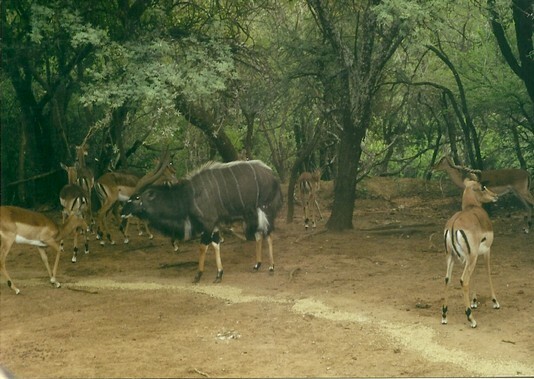 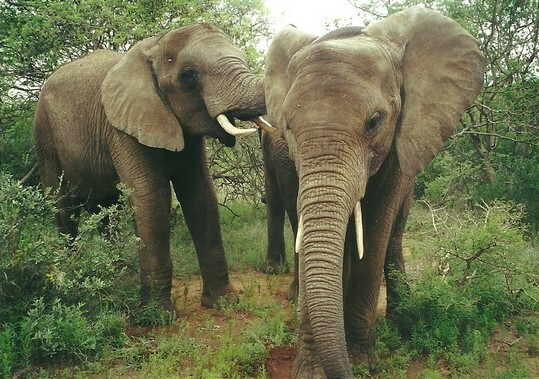 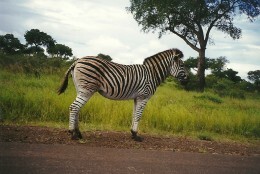 Mokolodi is a carefully cultured game reserve a short drive from Gaborone. 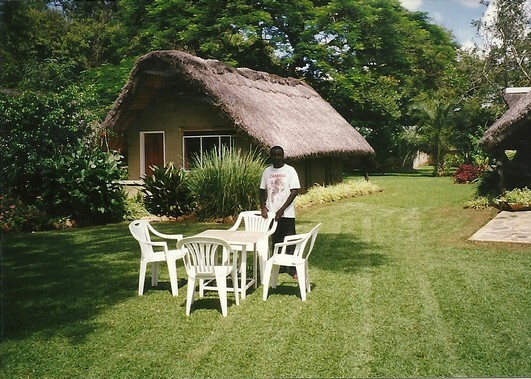 The photos below show me with friends dining outdoors in both of those places with friends. 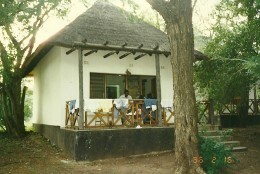 On one occasion Muriel made a reservation for me to stay at one of the few chalets within the game park. 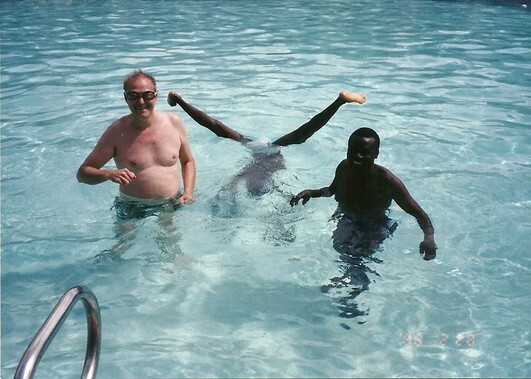 Delightful! Nellie Smith was Zindi’s friend in NYC, and retired to Vryberg in the North Western Province of South Africa just before I made these journeys. 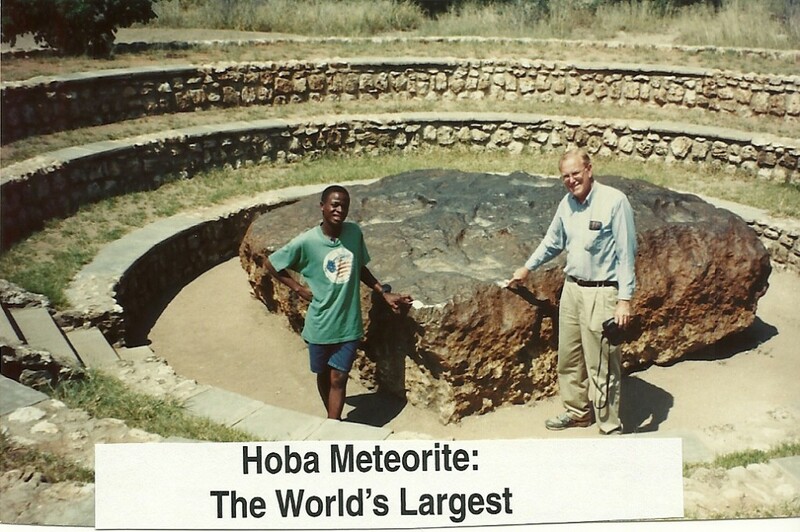 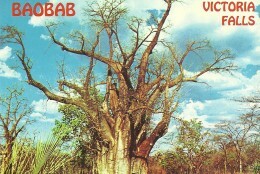 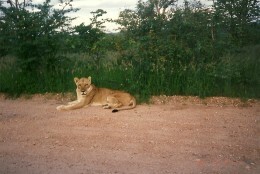 I visited her many times between 1997 and 2002 since Vryberg is just a 90 minute drive southeast of Gaborone. 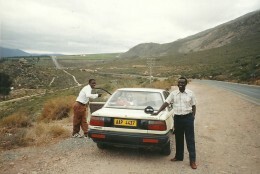 My friends and I also drove to eastern South Africa to Segunda in two cars with her and her niece, Isabelle. 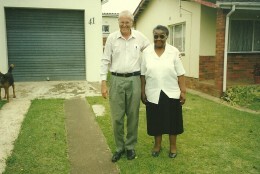 The two pictures on the left were taken in or just outside her home. 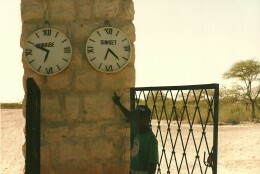 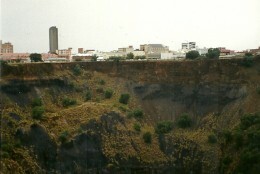 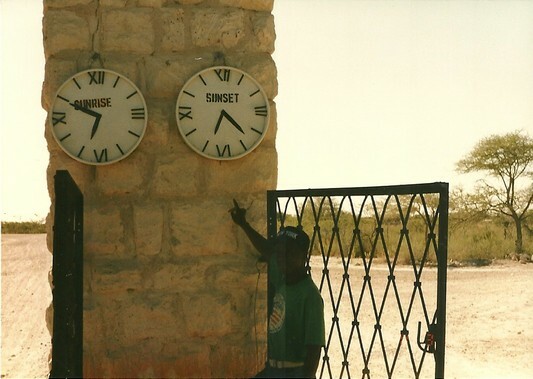 The picture on the right was taken outside the casino in Segunda. 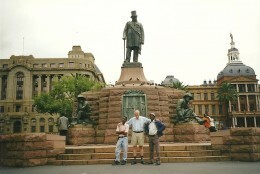 Pretoria with Friends. 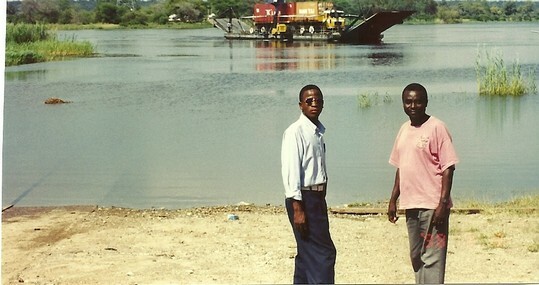 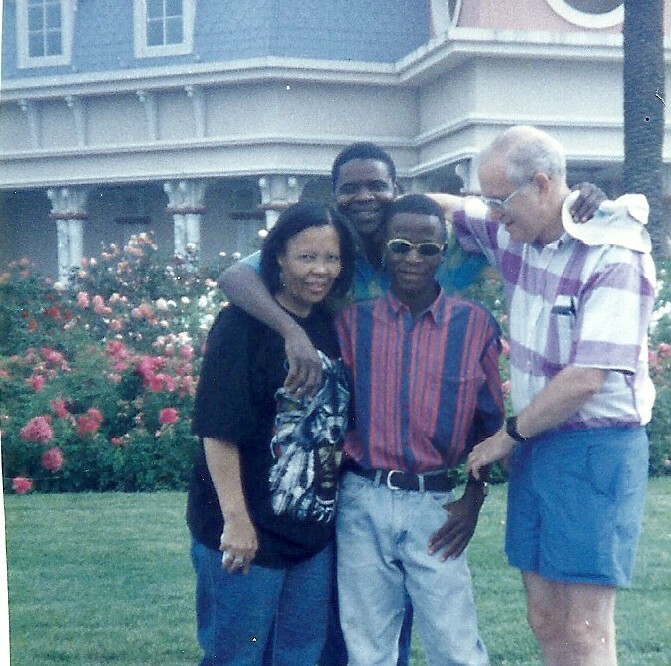 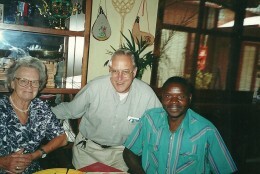 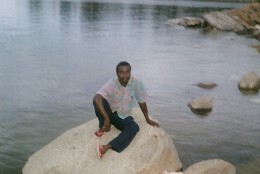 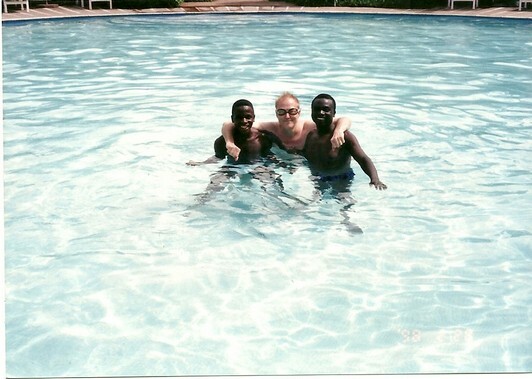 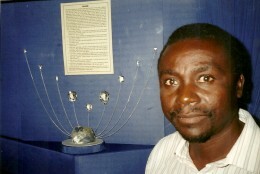 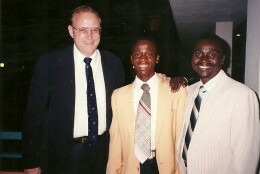 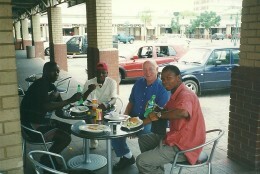 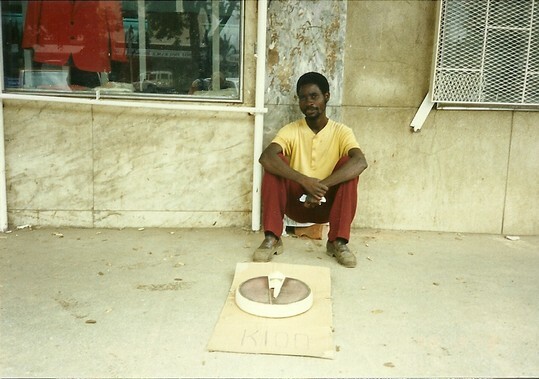 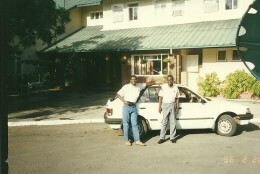 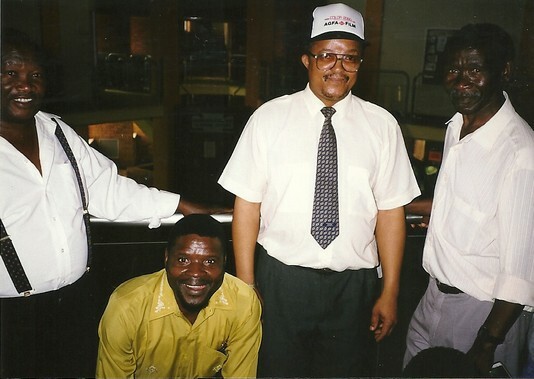 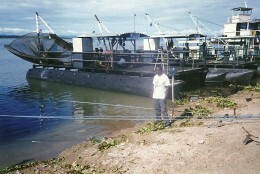 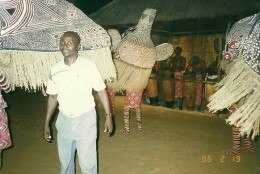 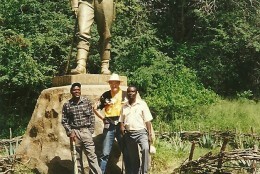 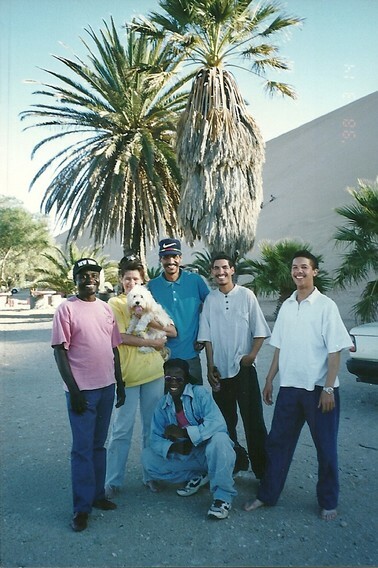 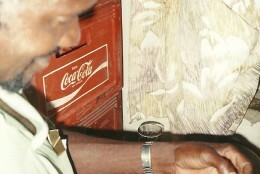 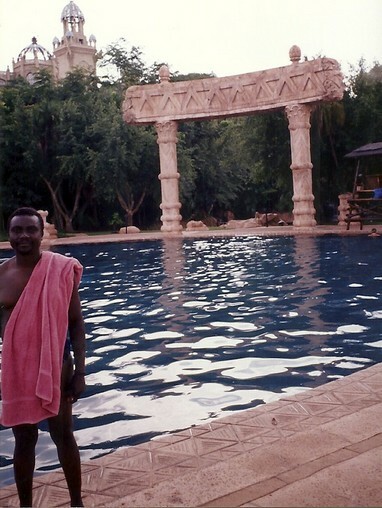 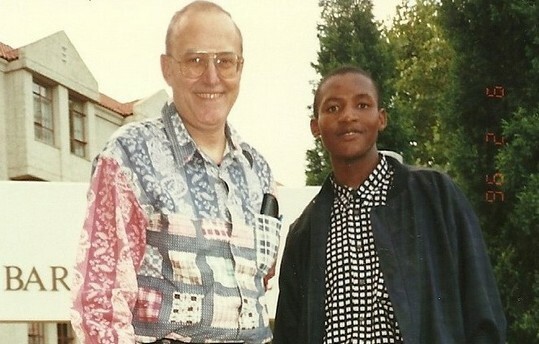 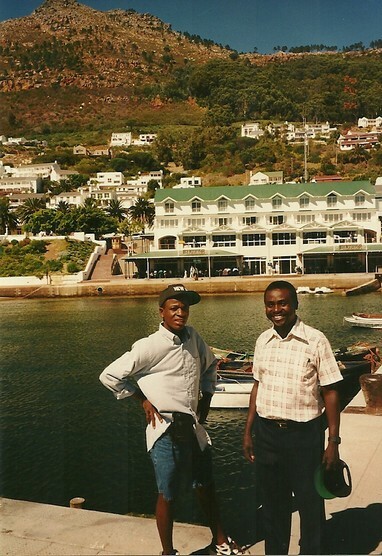 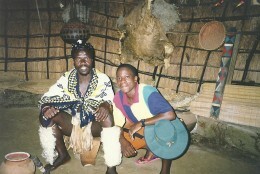 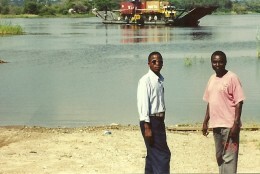 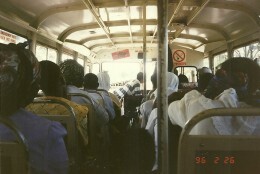 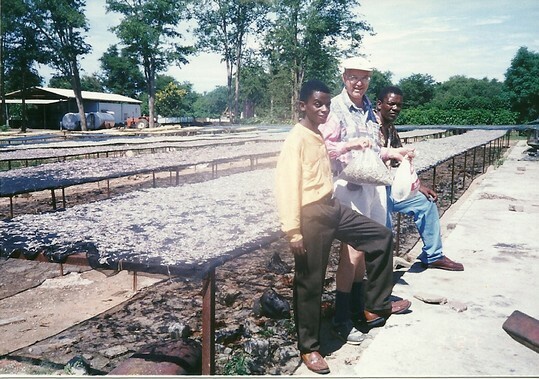 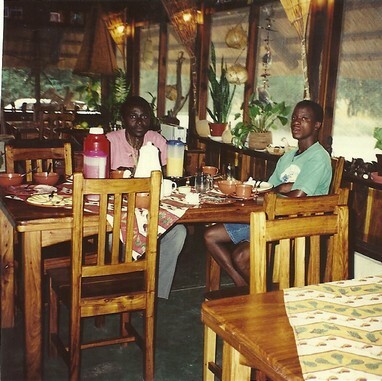 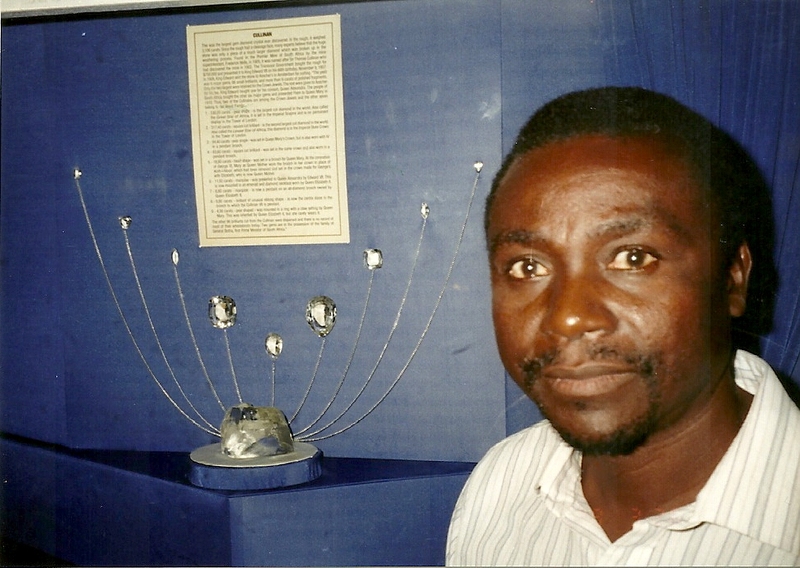 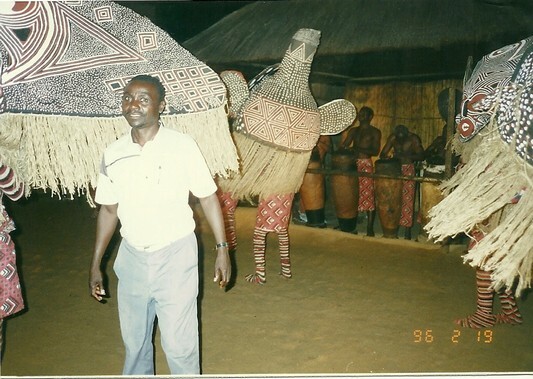 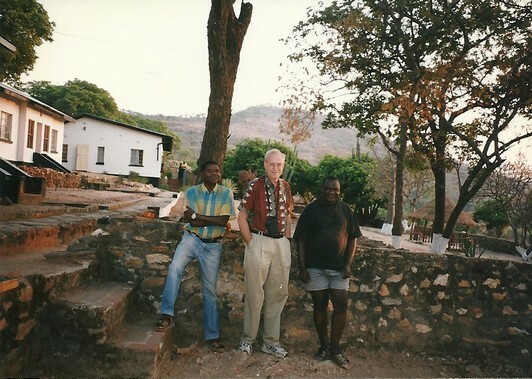 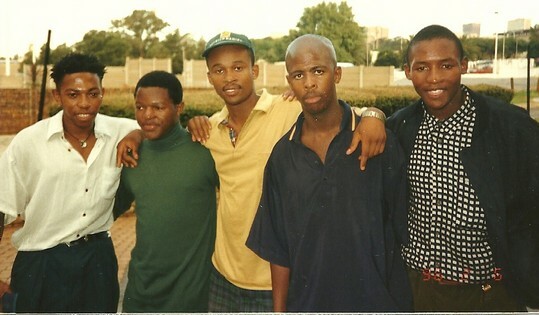 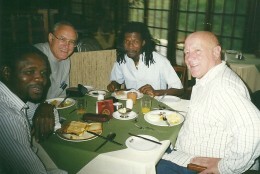 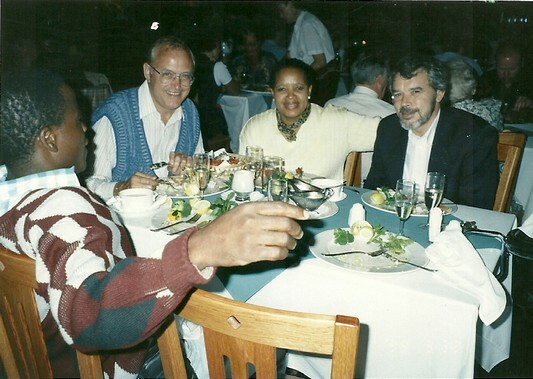 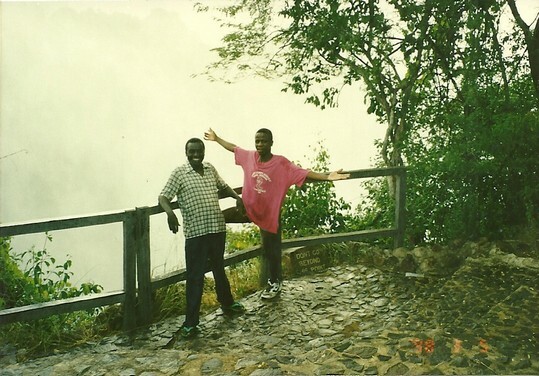 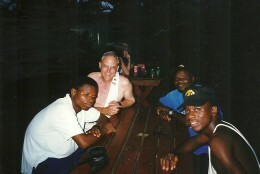 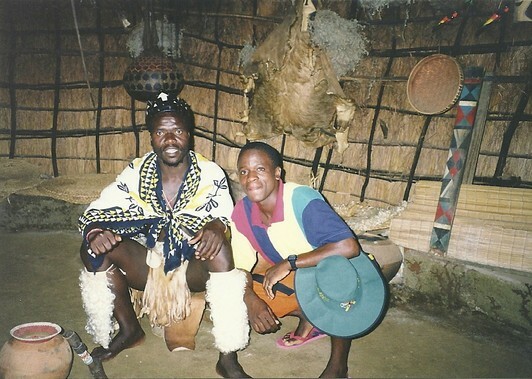 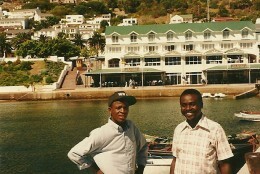 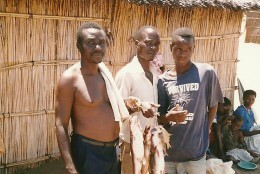 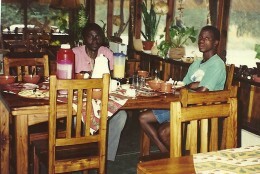 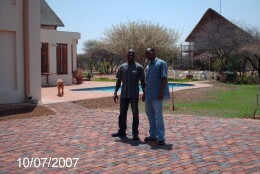 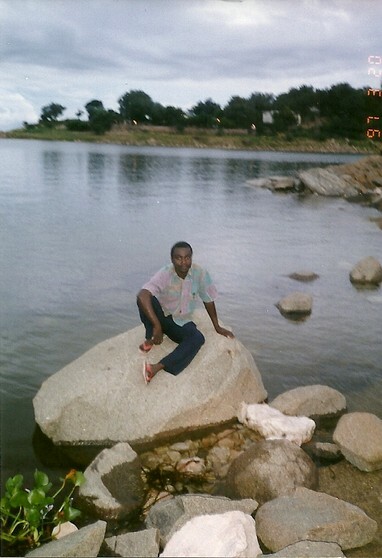 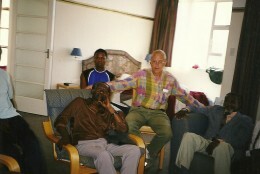 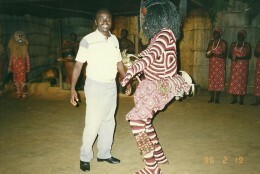 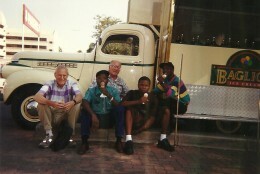 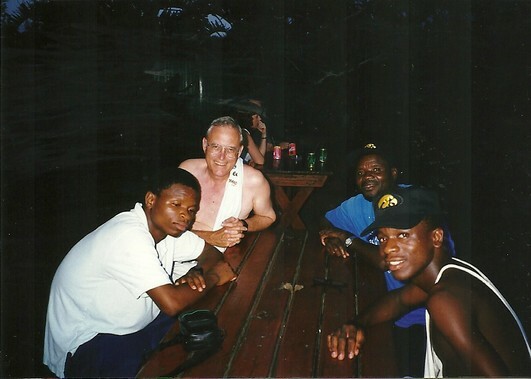 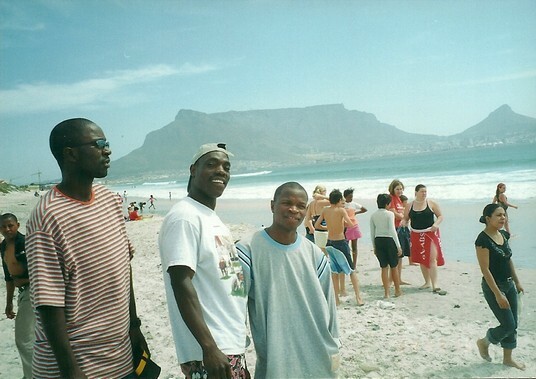 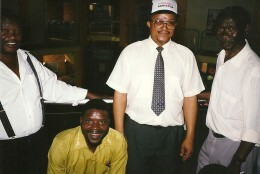 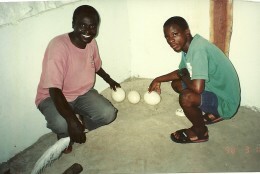 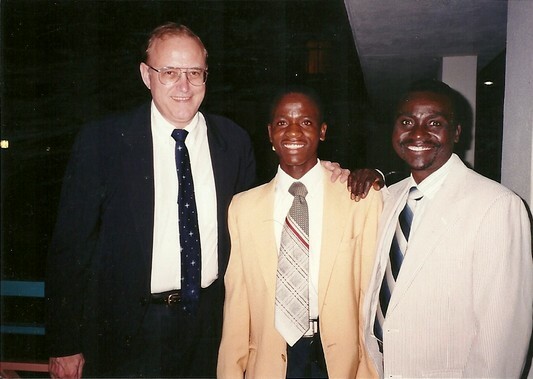 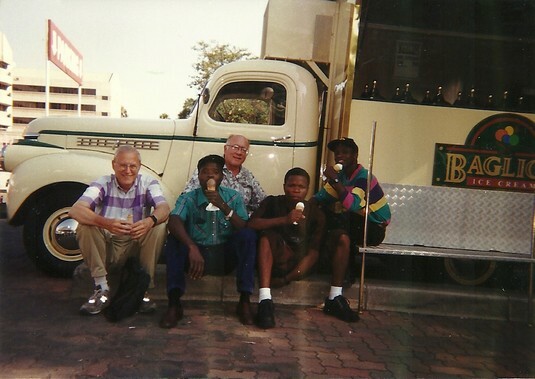 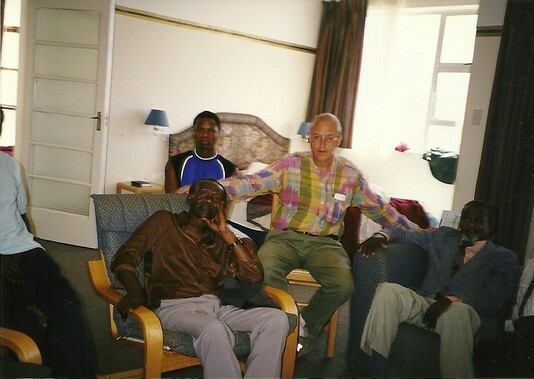 On one of my two trips in 2000, I was traveling with Petulo (Zambia), Ronnie Xaba (S.Af. 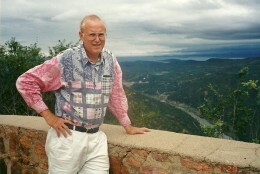 ), and David Carlson. 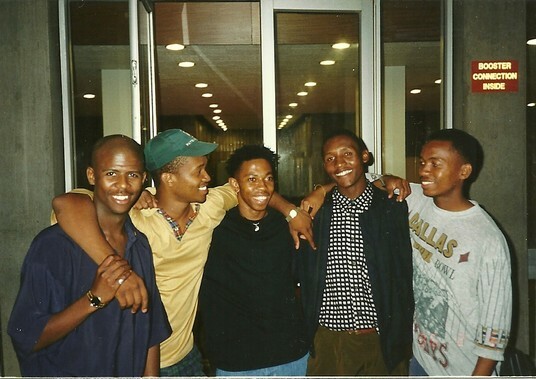 Petulo had his passport stolen, so we all spent a week in Pretoria while the Zambian embassy got him a travel document. 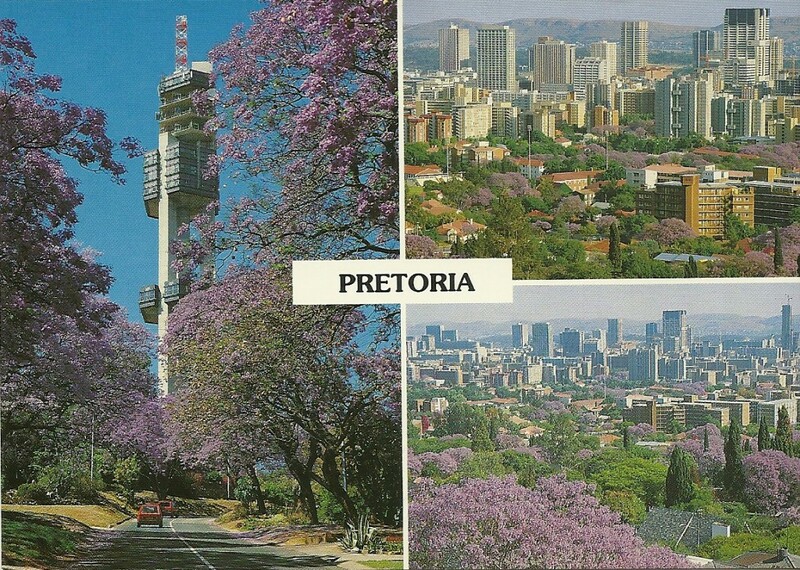 This unexpected change resulted in us exploring Pretoria and we saw S.Af.’s national botanical games, zoo and a traditional village. 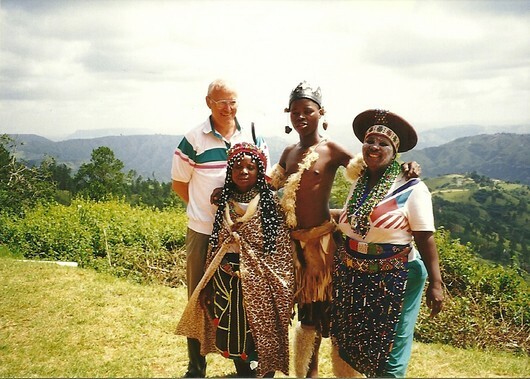 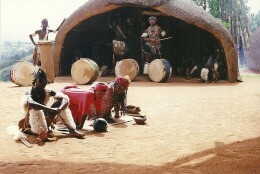 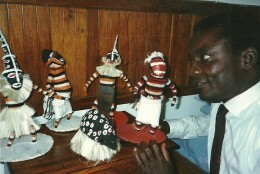 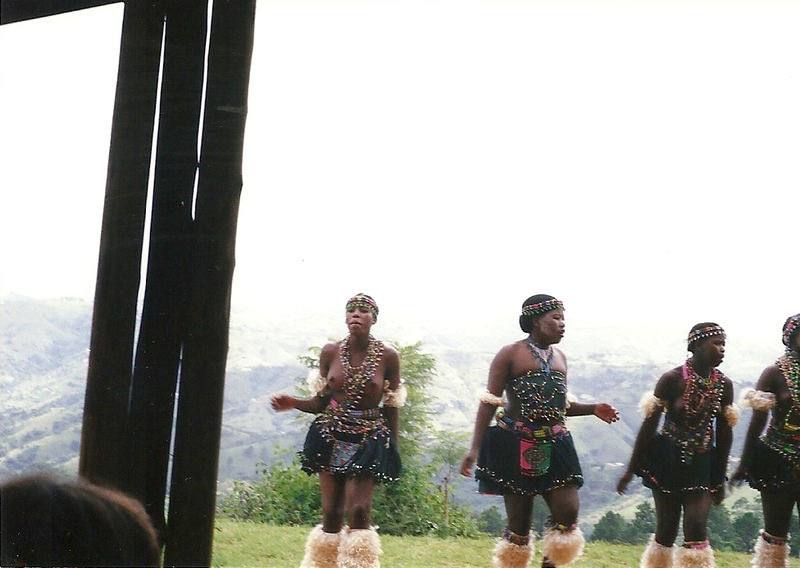 (Ronnie especially enjoyed the Zulu village as he was Zulu.) 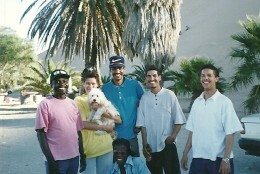 We ended up having a good time despite the theft. 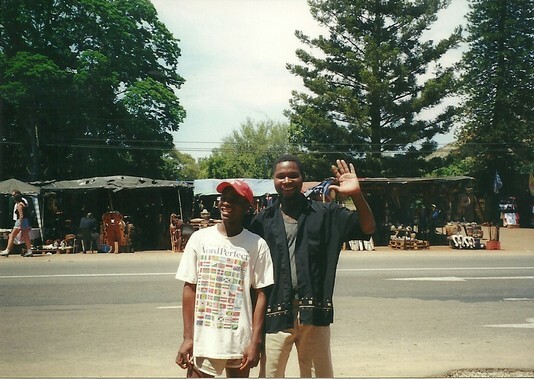 Vendors, small business people in southern Africa were people that we met all over southern Africa, who gave each trip a special flavor. 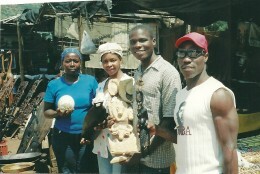 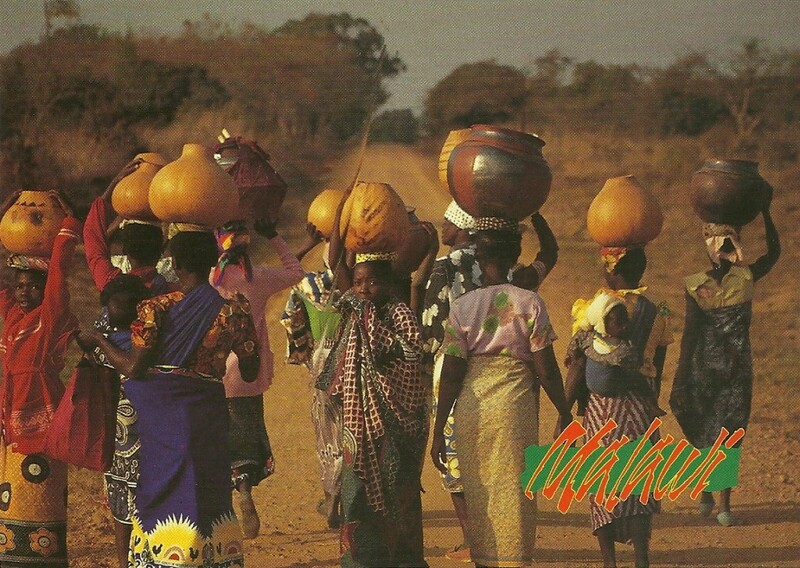 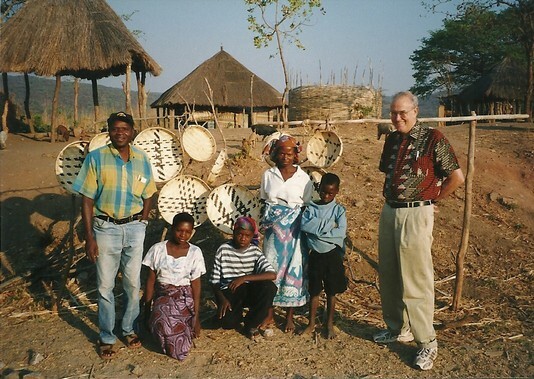 I always tried to support them, which has resulted in many friends / relatives in America having many African mementos! 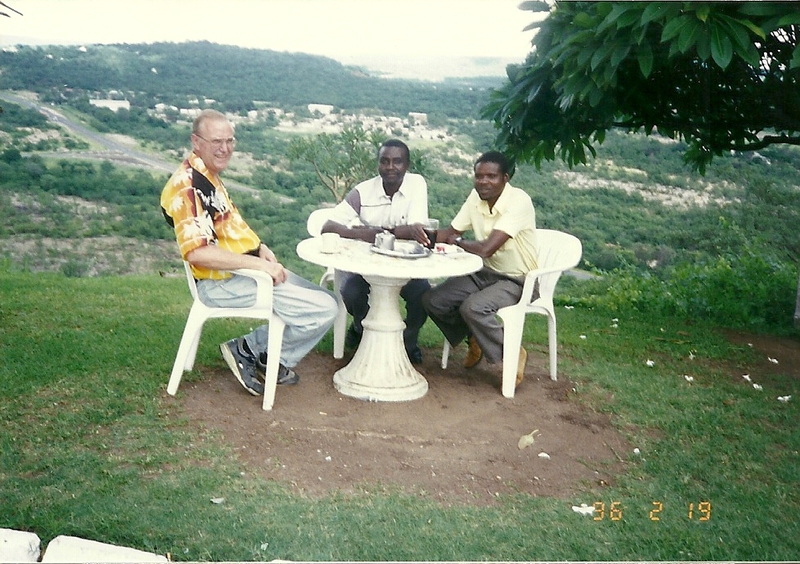 My travelling companions knew their language (most of the time) and could discuss an outrageous price if necessary. 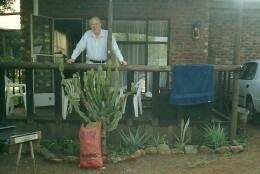 Their pictures are here for lack of a more appropriate place to put them! My favorite are the young man waiting to weight people for a penny and the market lady on the right: so tranquil! 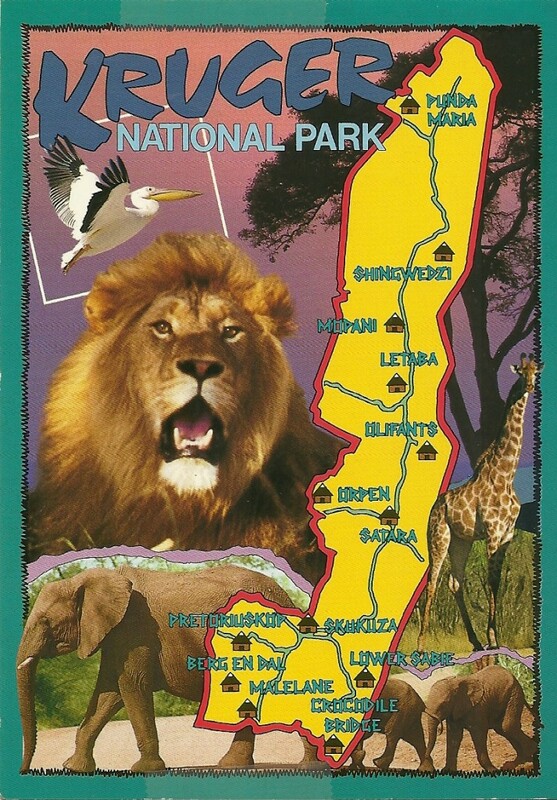 On previous pages, I have rarely shown pictures of southern Africa’s glorious fauna and flora and unfortunately I have no pictures from the NWP’s game reserves. 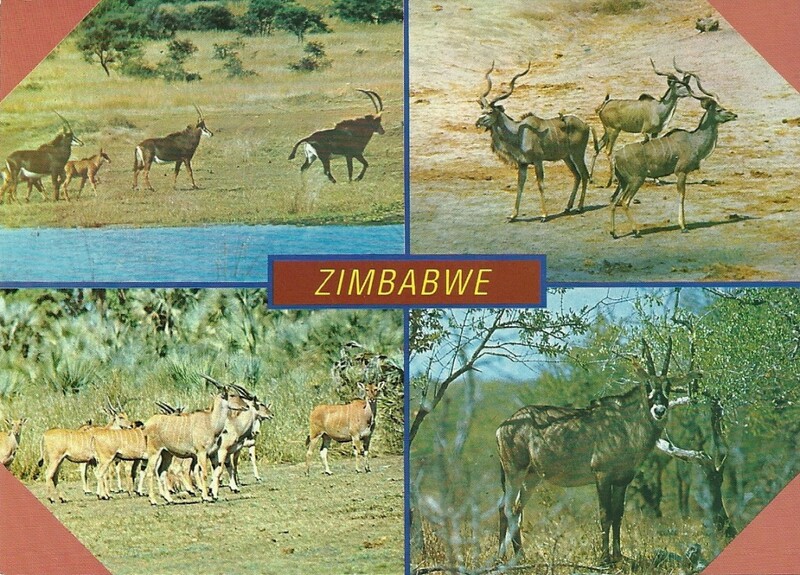 This collection, however, should please lovers of southern African animals! 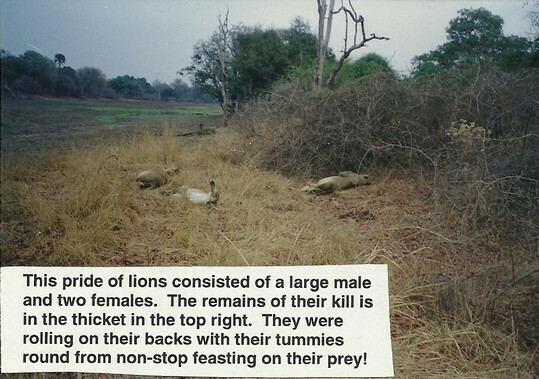 Click on a picture to enlarge it and to see the captions. 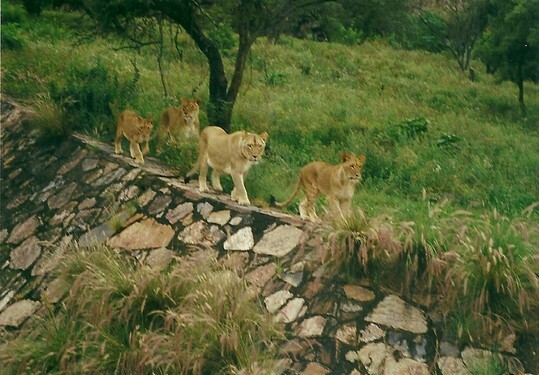 Lions are the place to start. 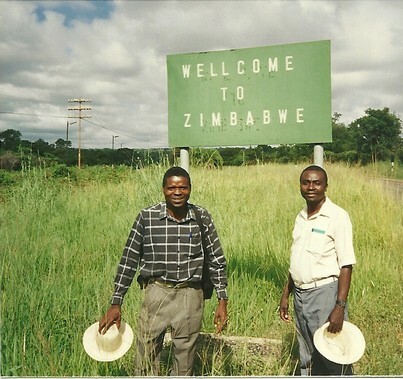 The following are from Zimbabwe, South Africa and Zambia. 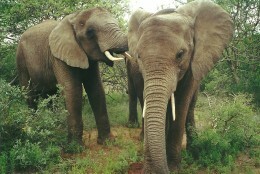 Elephants are awesome. 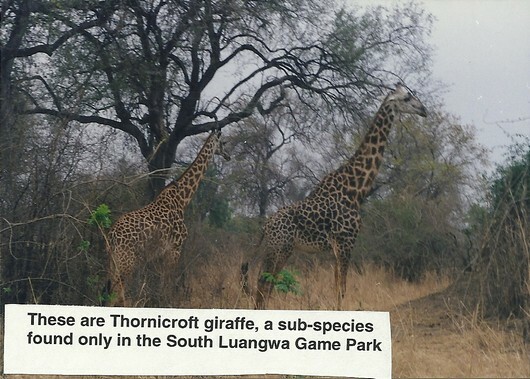 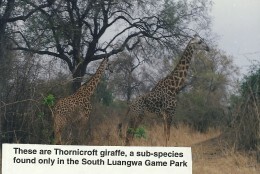 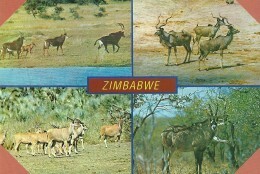 The two on the left are from Mokolodi Game Reserve near Gaborone, Botswana and the one on the right from Hwange, Zimbabwe. 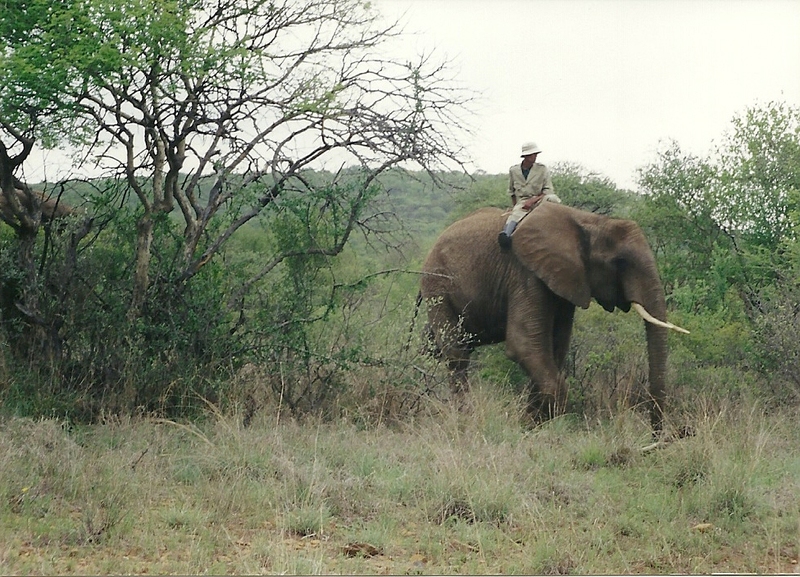 African elephants are regarded as untrainable but the middle photo shows a trainer from south Asia trying to prove this wrong. 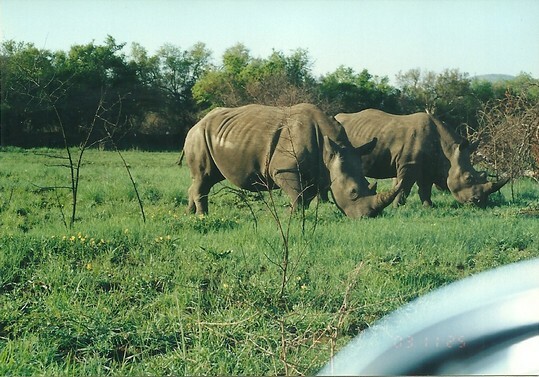 Rhinoceros (rhinos) are in great danger throughout Africa, even more than elephants, for their horns that are very valuable in Asia. 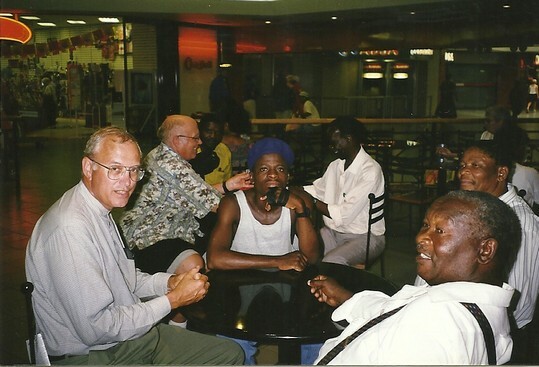 Only in southern Africa do many remain and then very tenuously. 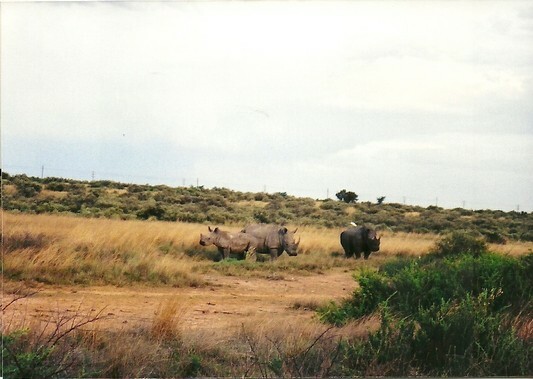 The two on the left are from western South Africa near Botswana and the one on the right from Mokolodi near Gaborone, Botswana. 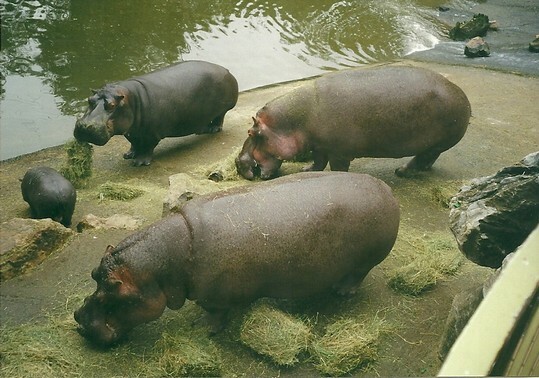 Hippopotamus (hippo) and Cheetah.Hippos are very dangerous and probably kill more people than almost any other animal in southern Africa. They are hard to photo. 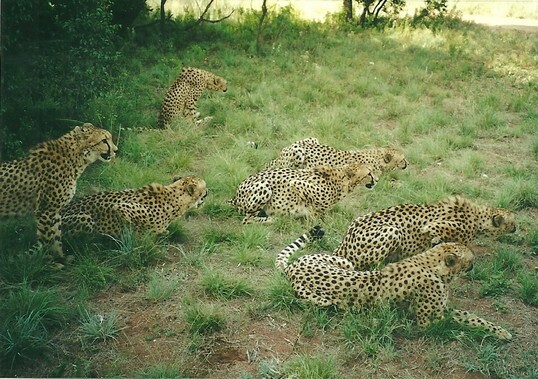 Cheetahs are disappearing from the wild and when tamed unfortunately cannot be returned to the wild but must remain on protected reserves. 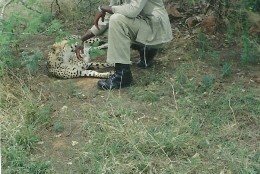 No pictures of leopards appear. 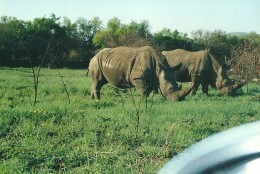 They are the hardest of all to photograph and I never got even one good photo. 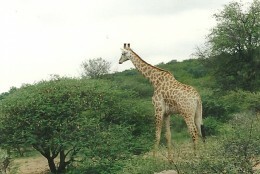 Giraffe. Very elegant animals and a joy to watch moving. 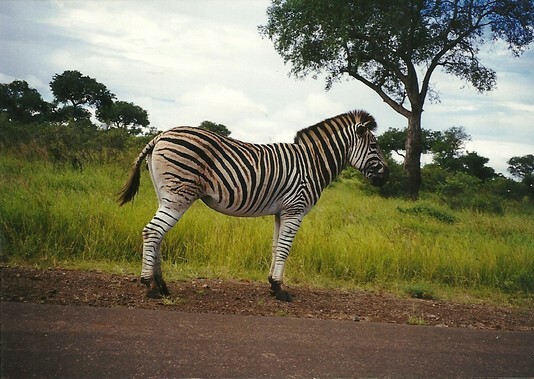 Zebra. 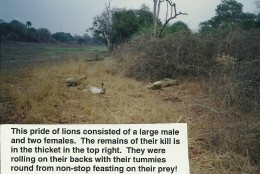 Found in abundance, maybe in part because they are not edible for human consumption. 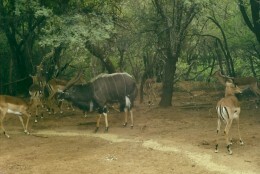 Africa’s “deer”. 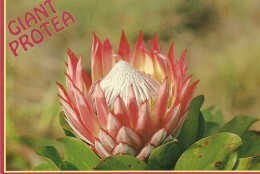 Name given by American friend! 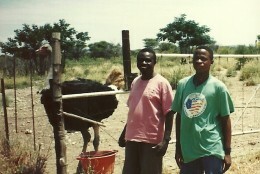 Now all are raised on numerous animal farms throughout southern Africa as well as the main animals in game parks. 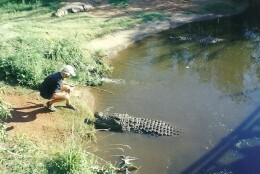 Crocodiles (crocs) and wild boars. 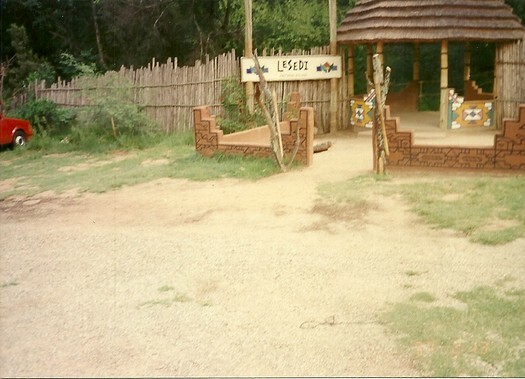 Large crocodile farms are found throughout southern and Eastern Africa as well as in game parks. 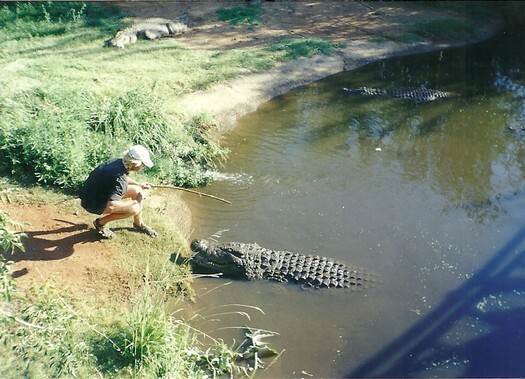 Both crocs hides as well as the tails (for food) are used. 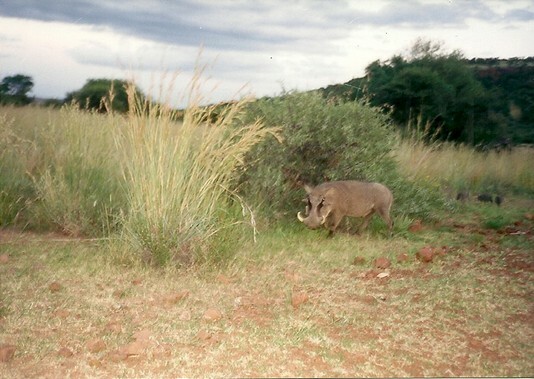 Wild boars are supposedly good food, but I never heard of them being raised commercially. 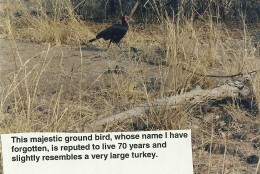 Ostrich. 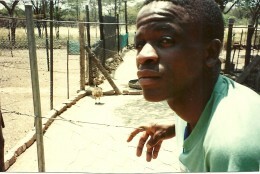 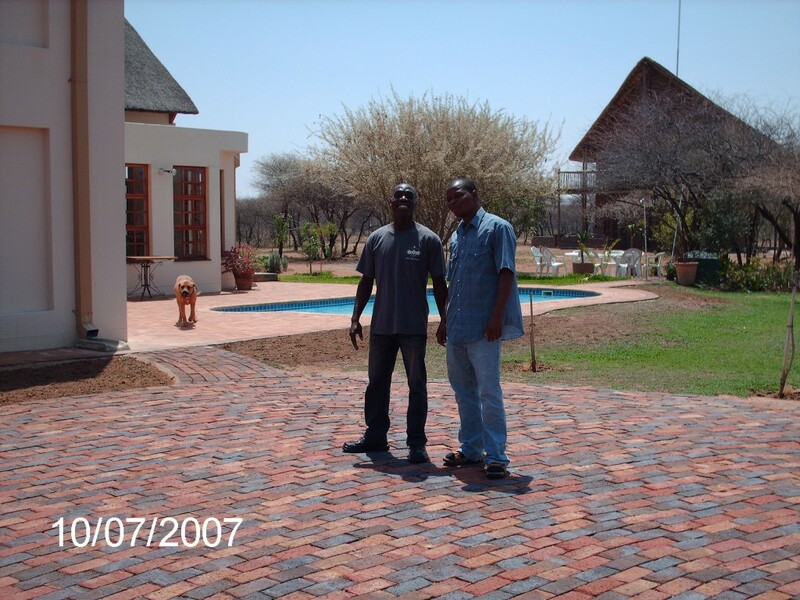 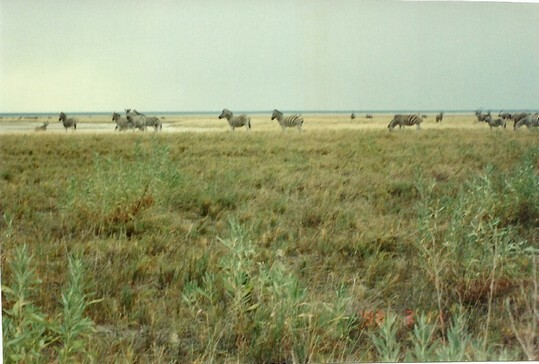 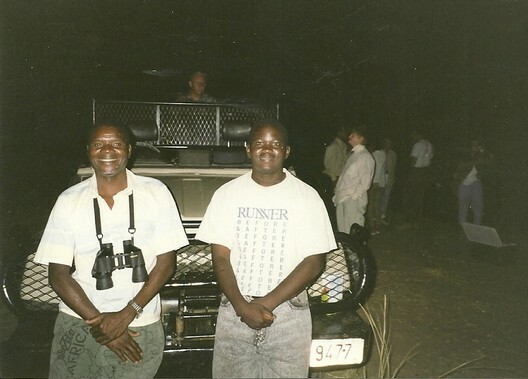 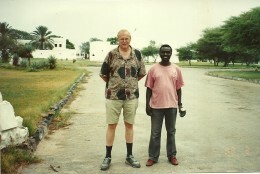 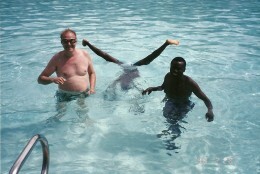 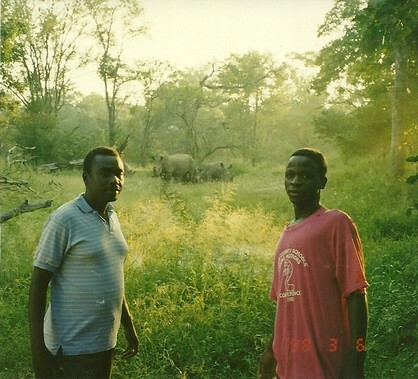 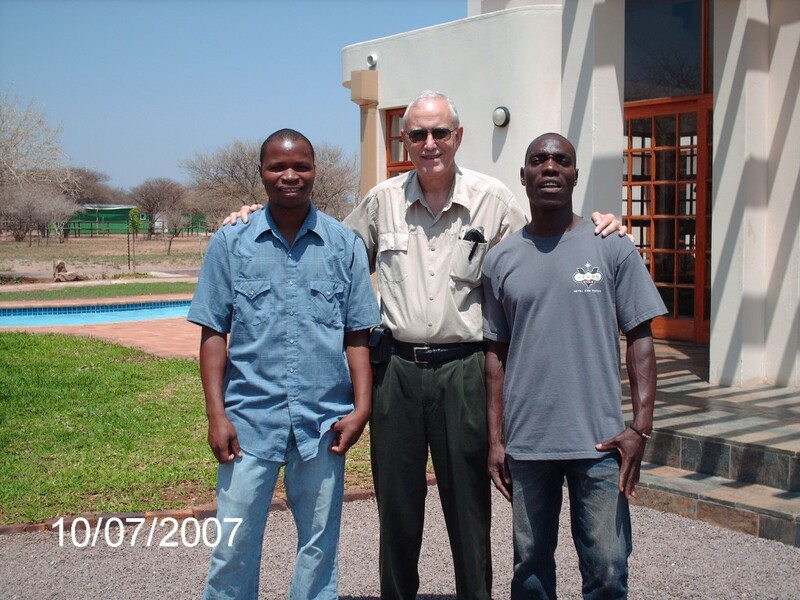 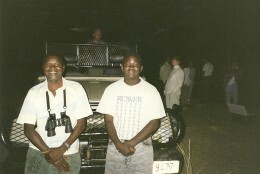 Stanley Kamboyi, Alexander Ajibuh and I were at a large farm outside Etosha game park in northern Namibia in 1998. 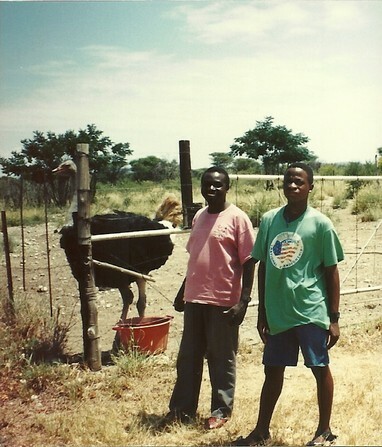 Such large ostrich farms are found throughout southern Africa as well as in game parks. Ostrich feathers and hides have many uses and the eggs make very large omelettes. 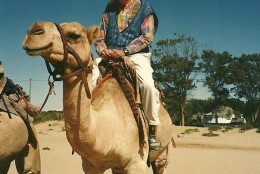 You can also sit on an adult ostrich as I did several times. 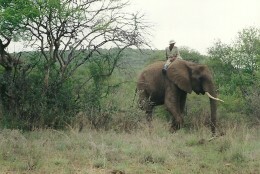 It is like sitting on a horse with feathers! 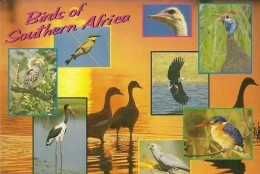 Birds of Southern Africa are glorious. 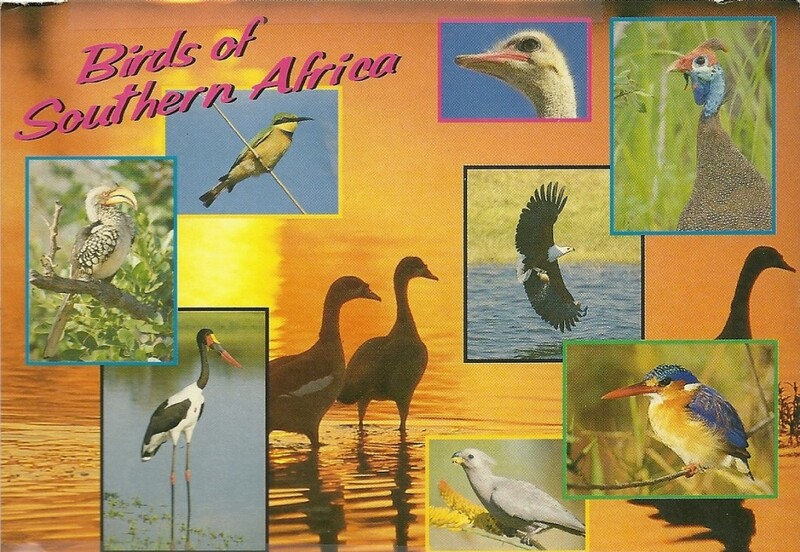 Starting with the postcard on left, here is a tiny sampling of birds in Zimbabwe and Zambia. 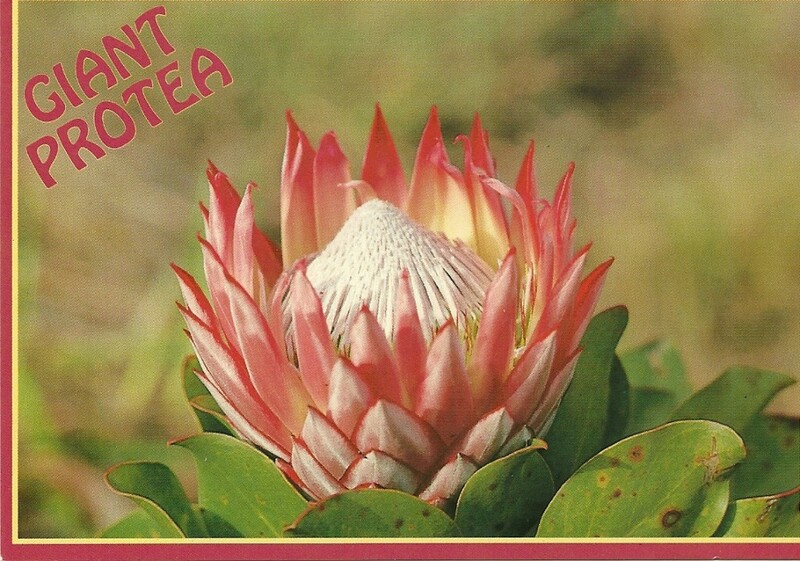 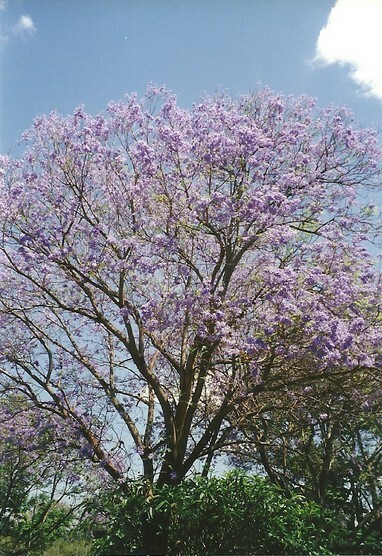 Plants of Southern Africa are amazing. 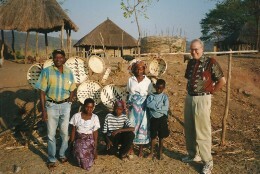 The top row is a sampling from life and travel in South Africa, Zambia and Zimbabwe as indicated by clicking on each picture. 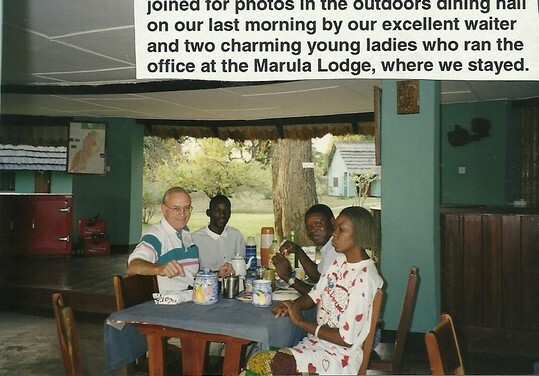 Earlier website pages also have a few pictures taken between 1963 and 1992. 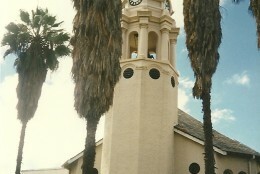 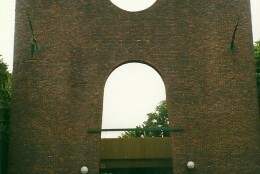 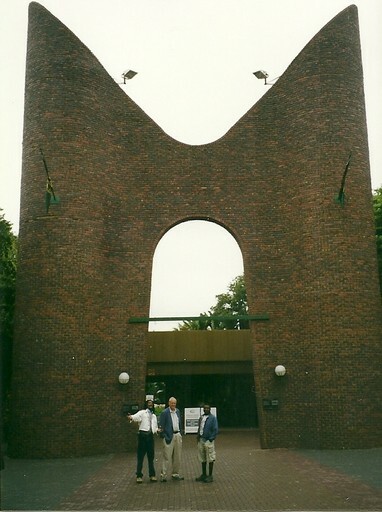 The following are a composite of photos taken on the first three major trips between 1996 and 1998. 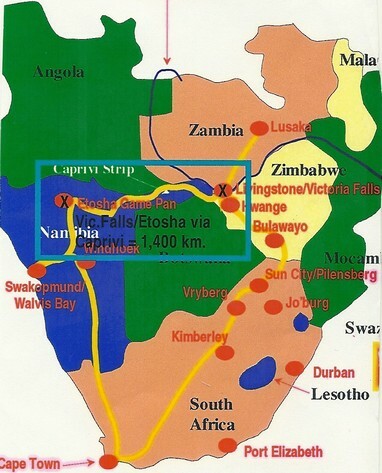 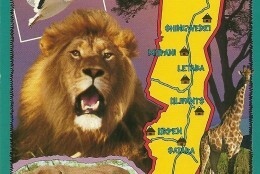 The pictures are in geographical order starting from the Victoria Falls in Zambia and then crossing over to Zimbabwe and includes likishi. 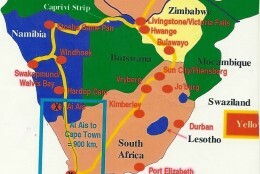 We then generally went on south (less than 100 miles or 160 km.) 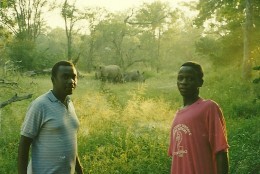 to the Hwange Game Park, in Zimbabwe. 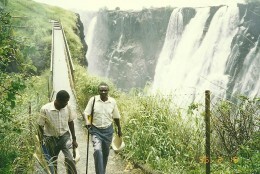 Victoria Falls. 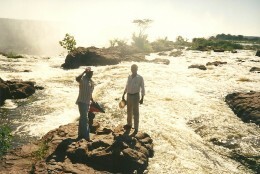 The main part of the Falls is on the Zimbabwean side. Except in July during the driest season, however, you cannot see this main section of the falls as it is shrouded in mist, like a never-ending heavy rain storm. 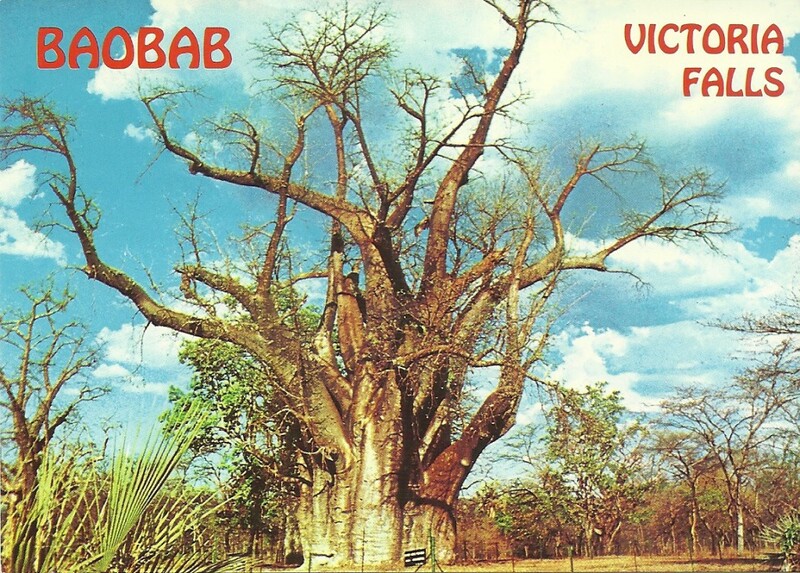 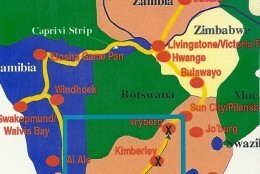 You can only see the western-most corner, near which are two major attractions: a statue of David Livingstone and one of the largest baobab trees, which are found across much of southern Africa. 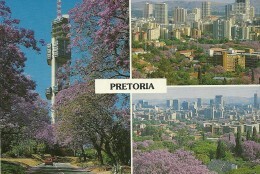 My latter journeys between 1999 and 2011, often focused on Gauteng Province as explained below. 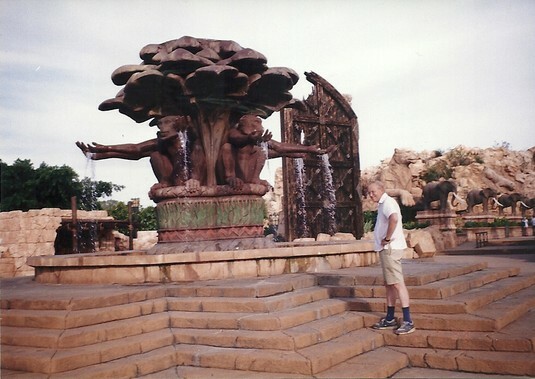 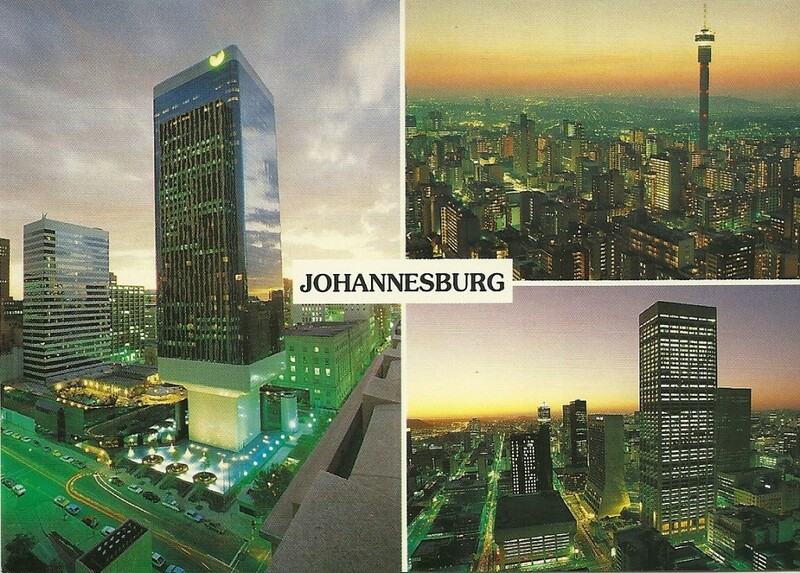 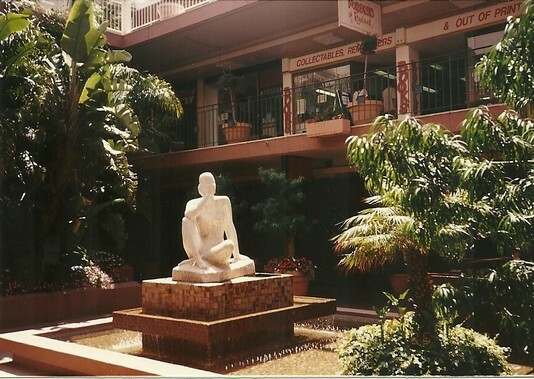 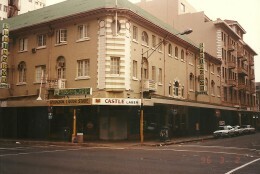 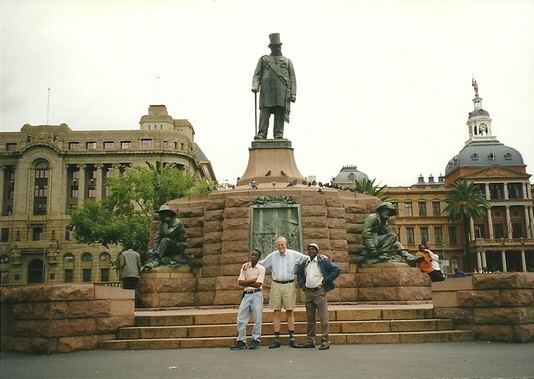 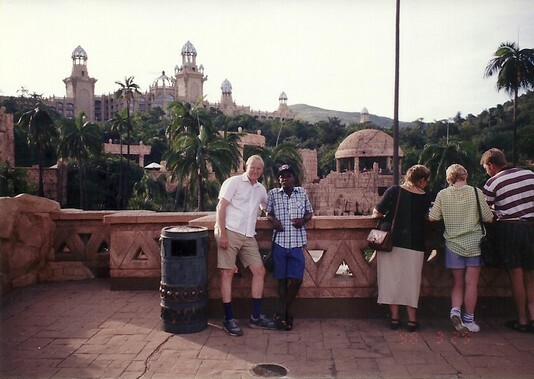 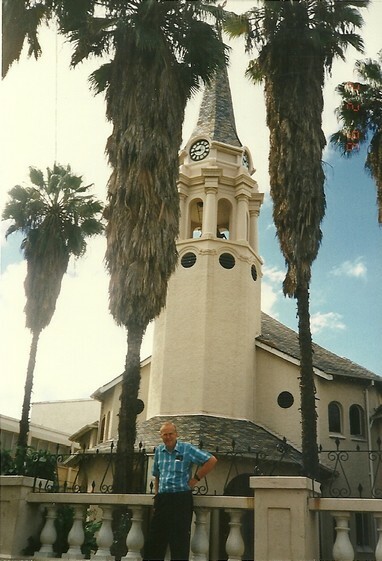 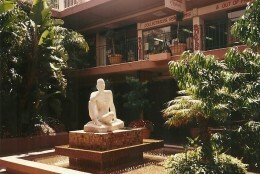 From left to right are a 1996 postcard of Pretoria; then a picture of Alex, Stanley and I in the heart of Pretoria with the famous statue of Africaaner pioneers, and to the right dancers on the Cape Town wharf. 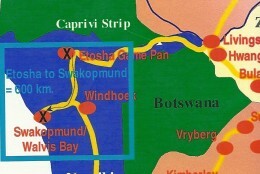 As Cape Town is over a full day’s drive southwest of Gauteng; it is best to stop for a night halfway. 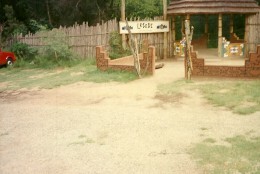 These pictures were taken on trips in 1996 and 2004. 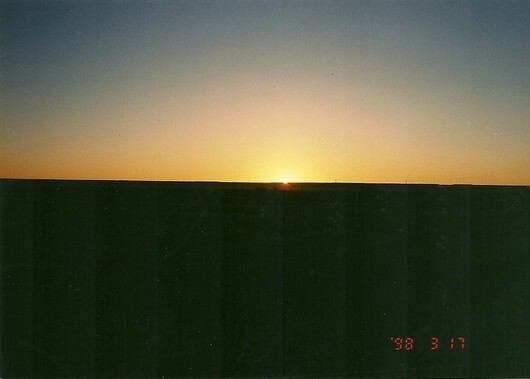 (I try not to replicate pictures on webpages taken in prior years.) 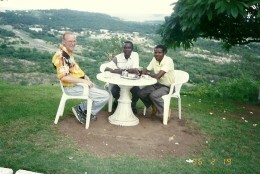 They include friends that I saw only once on these trips. 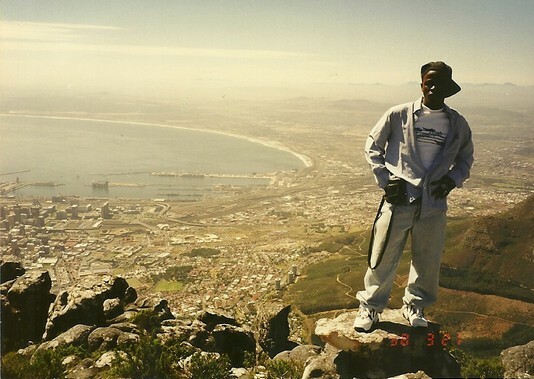 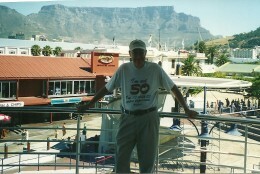 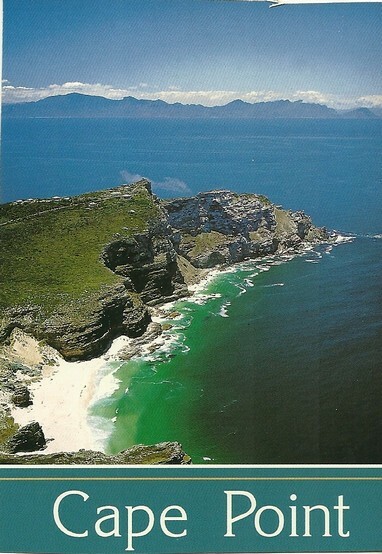 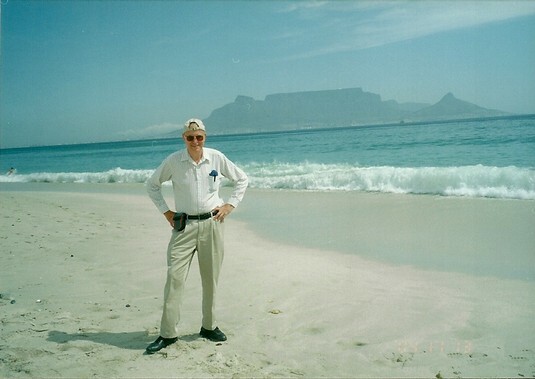 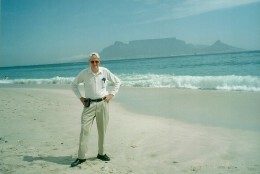 In 2004, we got good views of Table Mountain both from a beach to the north north and from the Cape Town Wharf. 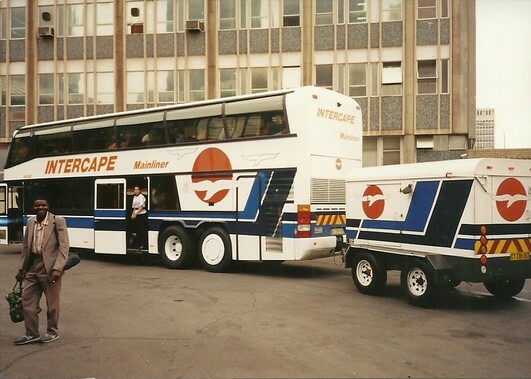 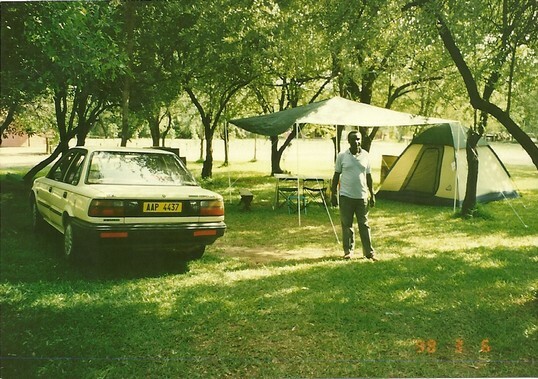 In 1998, on our trip around the Kalahari Desert, Stan, Alex and I drove south to Cape Town where we spent a fortnight, partly because our much abused Toyota needed major a overhaul! 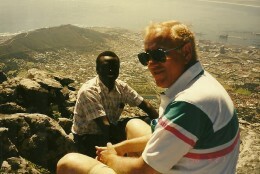 We had time to visit with old friends (shown later on the Namibia travelogue that follows) and visited the top of Table Mountain. 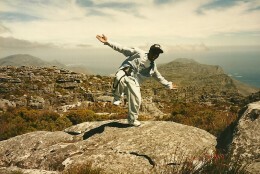 Our clown, Alexander, enjoyed this immensely! 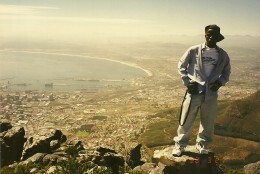 Note the amazing views of the city of Cape Town and the ocean from the top of the mountain. 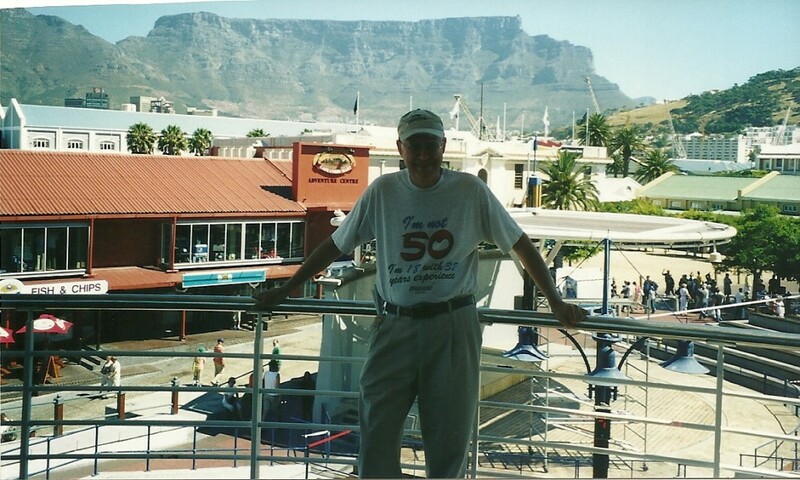 These pictures below show the Cape Town wharf and the the postcard shows the meeting of the Indian and Atlantic Oceans where the warm Indian Ocean’s currents push south to meet the much colder Atlantic Ocean’s currents pushing north. 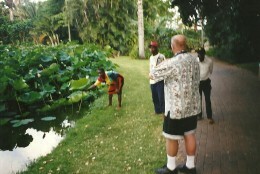 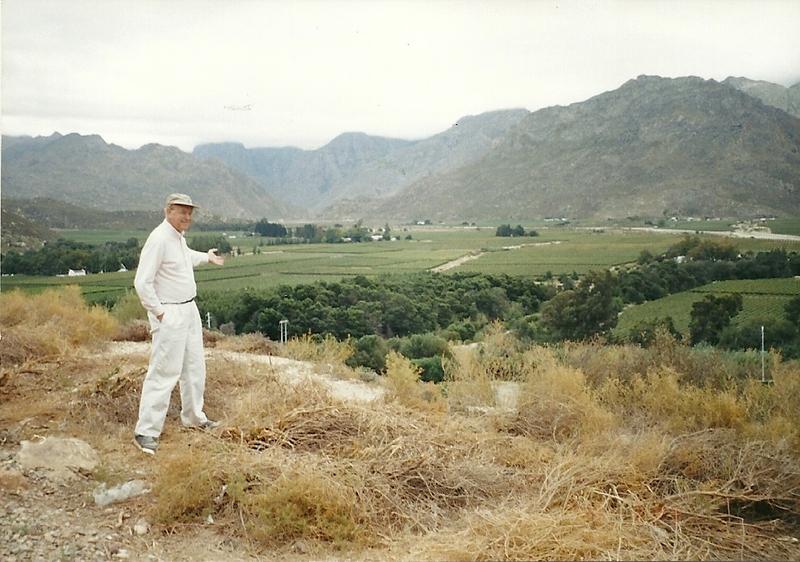 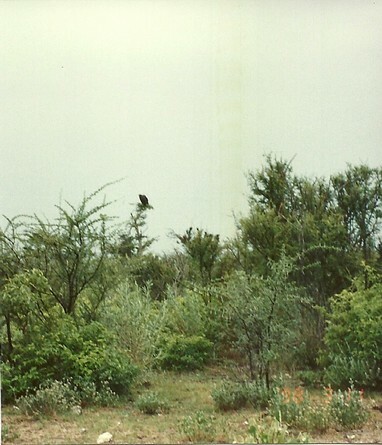 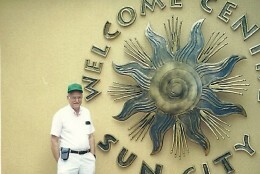 Sun City and a nearby farm were often the focus of our trips by 2000. The farm camp was a delightfully rustic and inexpensive place to camp or lodge in a stone chalet. 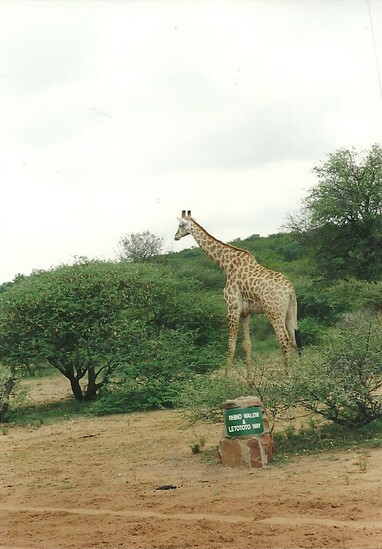 This camp was also a convenient 60 to 90 minute drive to the Pilanesberg Game Park (no pictures), Sun City and Gauteng’s major cities. 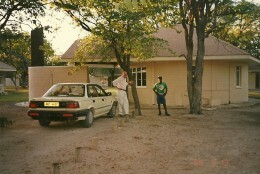 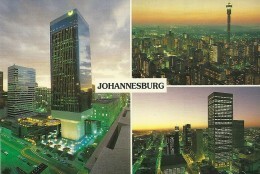 It was also only two hours drive to Gaborone, Botswana. 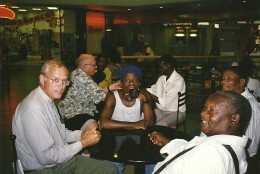 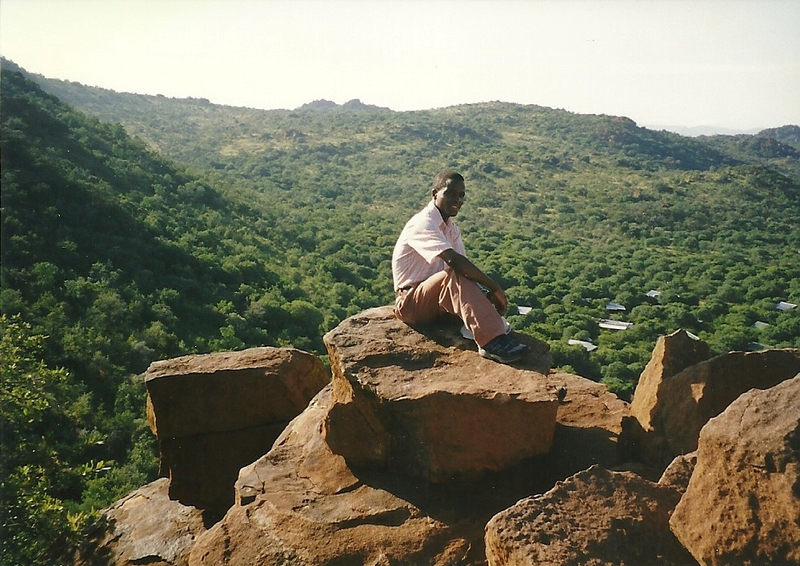 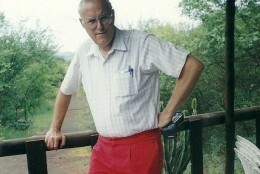 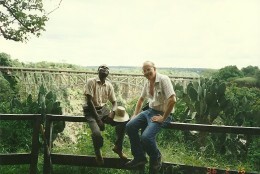 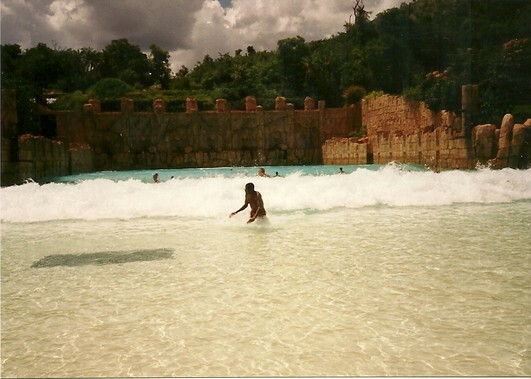 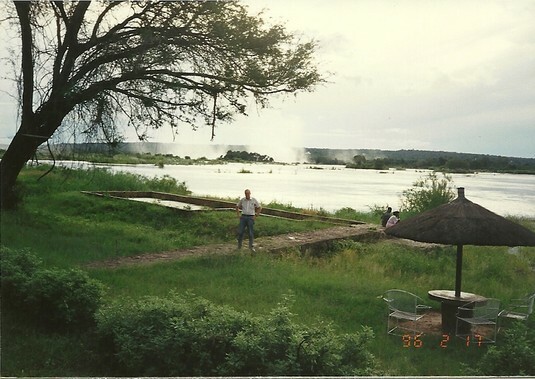 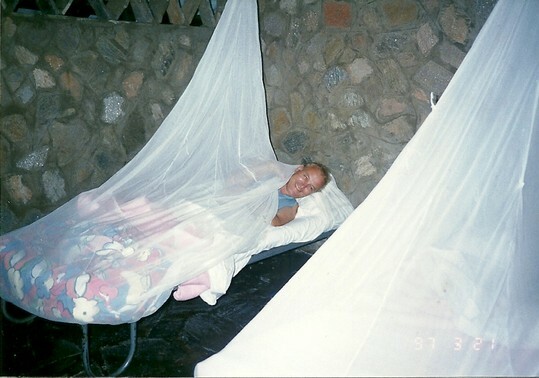 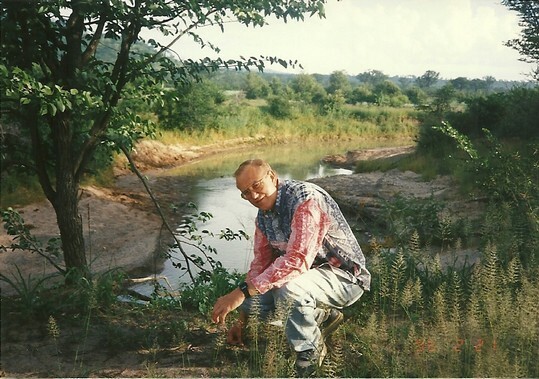 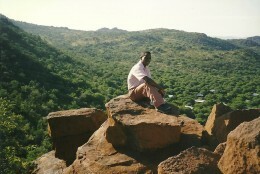 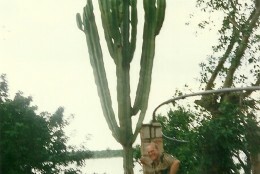 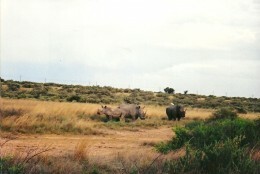 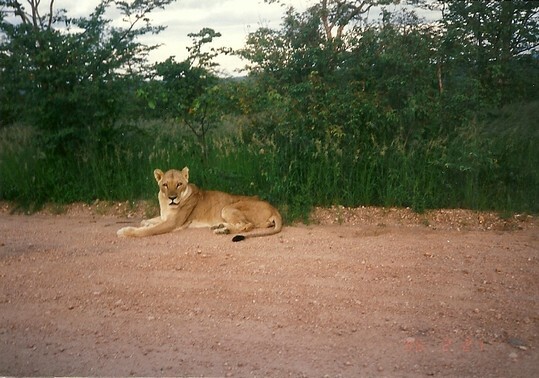 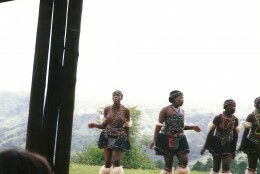 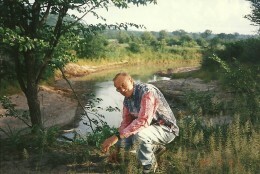 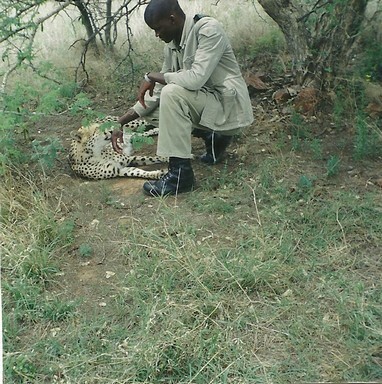 By 2000, I had “retired” from adventurous trips and came to Botswana and South Africa to simply meet friends and relax. 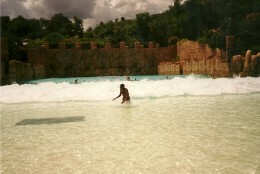 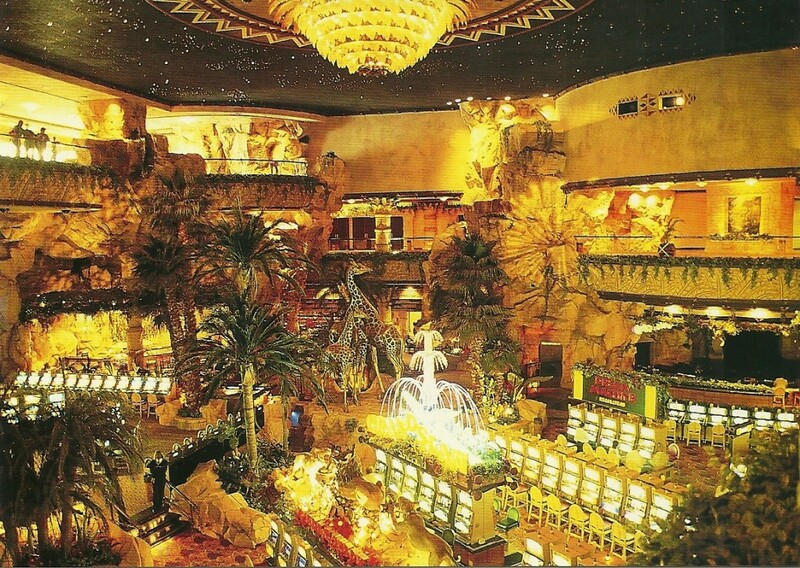 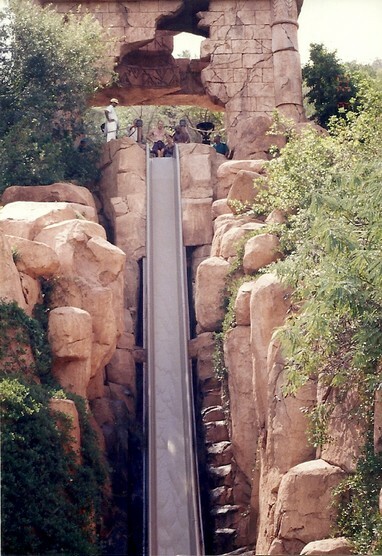 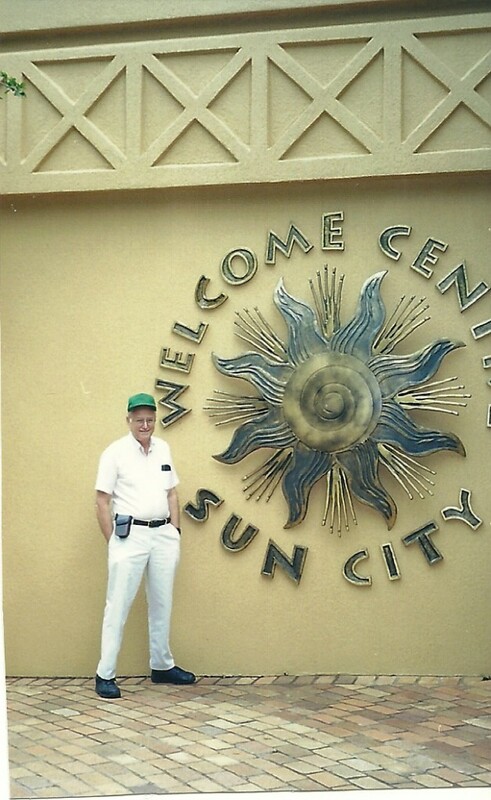 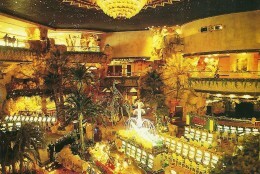 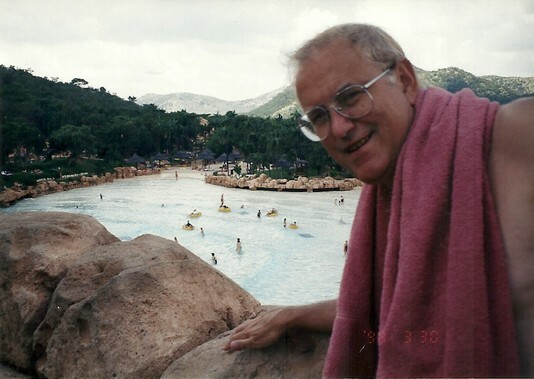 Sun City was a garish, but a fun place with a casino, a “Hidden Valley” with a mythical entrance, water park with many places to swim, including a wave machine, lazy river, and long slide. 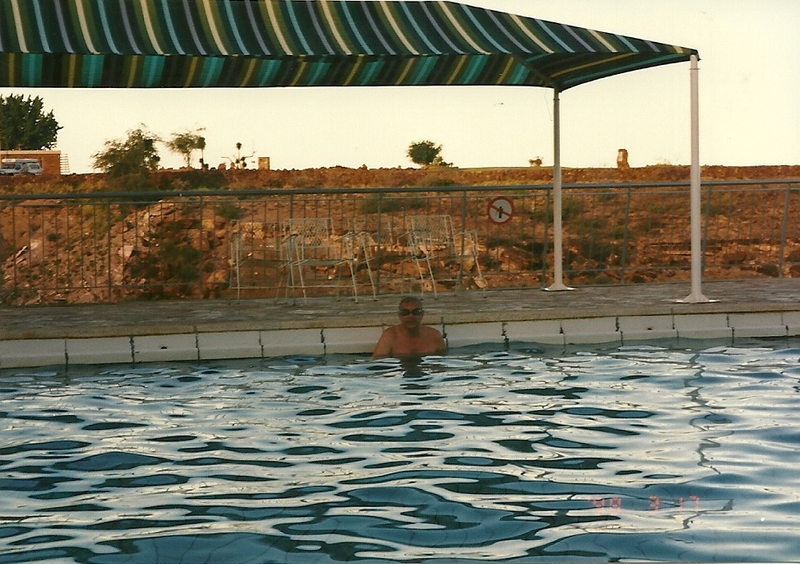 It was a perfect place to spend a day simply relaxing. 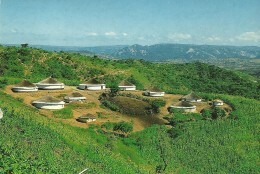 A charming farm camp. The camp had a few stone chalets overlooking a charming valley and a high hill which Alex, our clown, enjoyed. 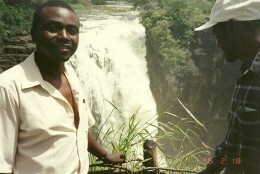 From Victoria Falls we traveled south by “luxury” buses to Bulawayo and then north to Harare, which my travel mates enjoyed immensely. 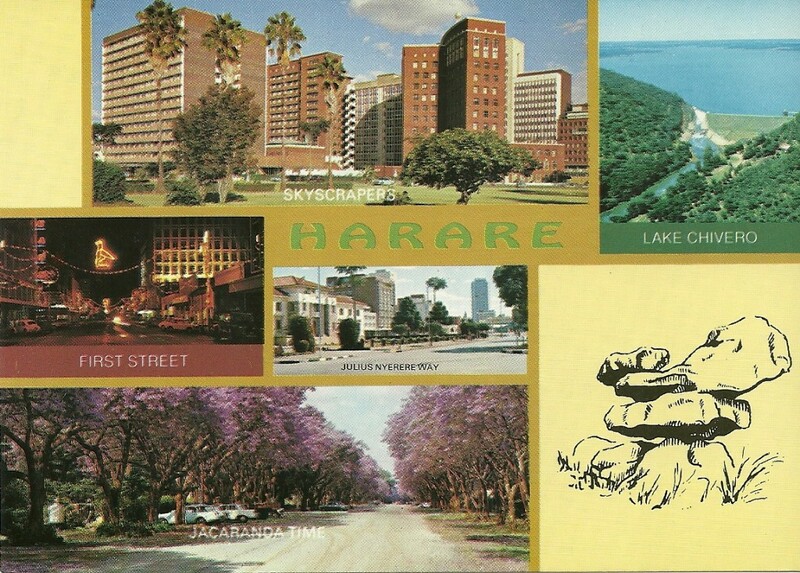 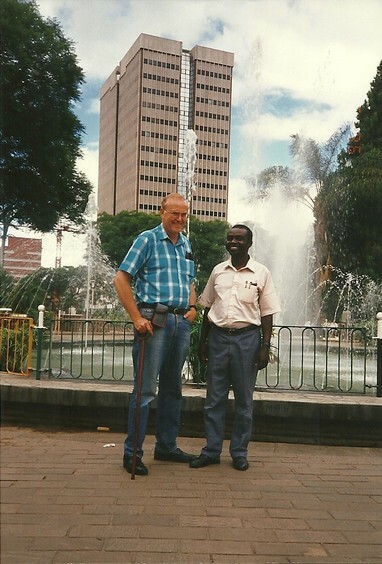 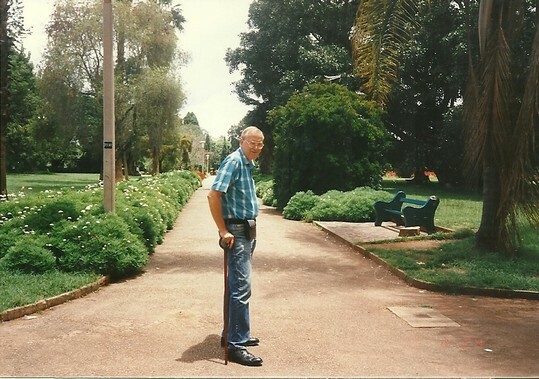 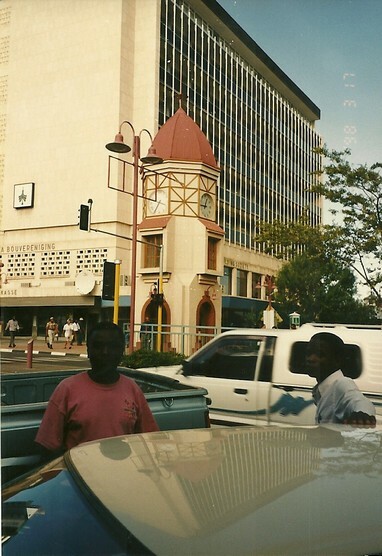 Harare was then one of the most beautiful cities in southern Africa as these pictures show. 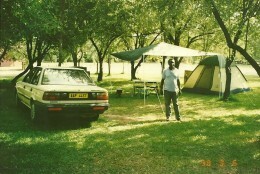 From Harare we headed north back to Lusaka where we relaxed once again in my favorite Ridgeway Hotel. 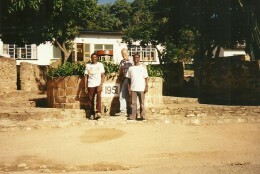 This was a mixed journey through in South Africa, Zambia, Malawi, and Zimbabwe. 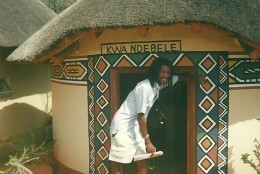 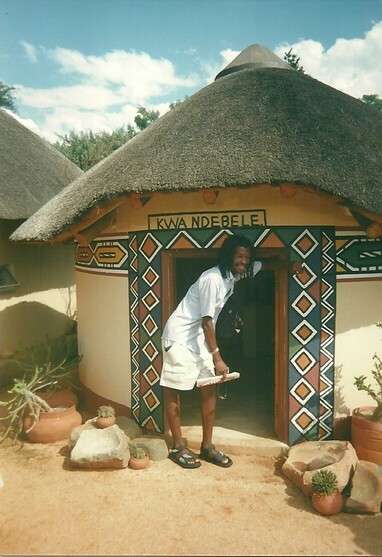 Petulo Njovu met me in Jo’burg where we rented a car and drove to Lesedi, a recreated Africa Village. 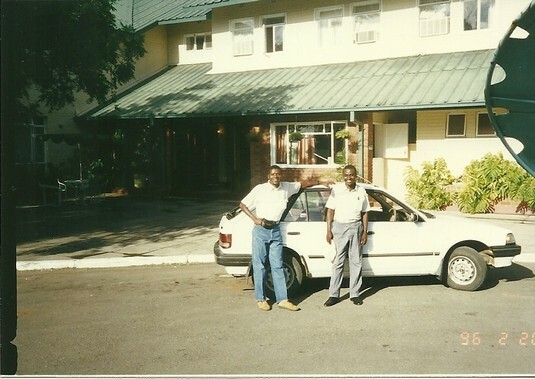 We then flew to Lusaka where I met friends and Bwalya kindly provided a car. 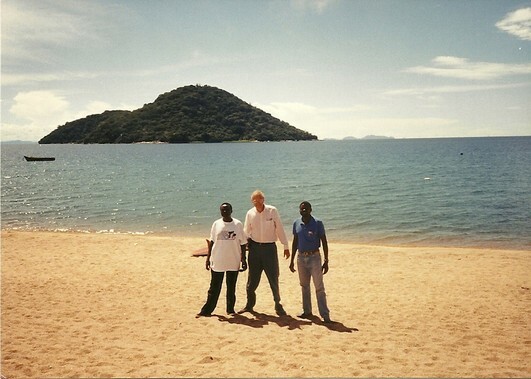 Following this, Stanley, Petulo and I drove east to Malawi and spent a fortnight on the beaches of Lake Malawi. 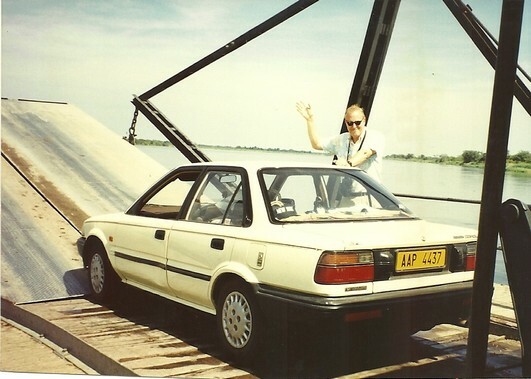 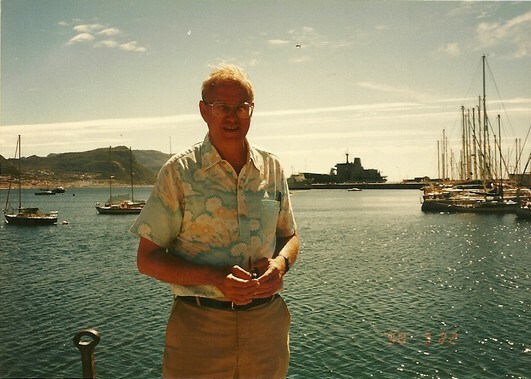 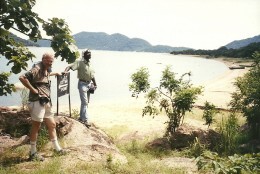 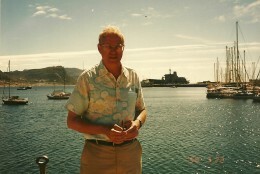 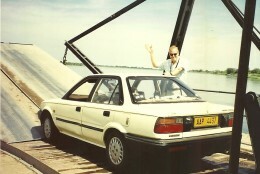 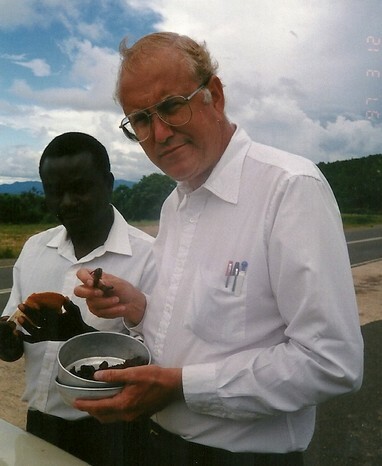 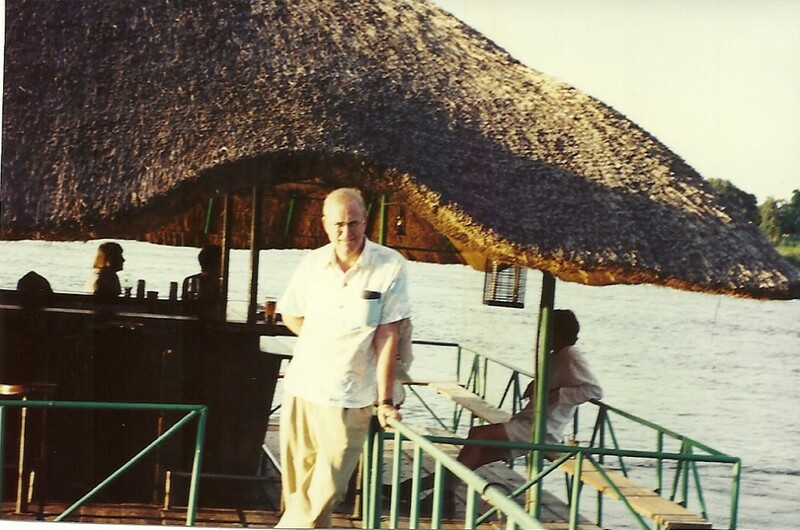 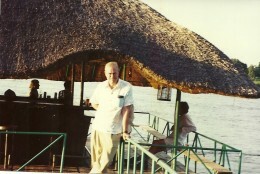 Last, Stanley and I drove south to Zimbabwe where we drove across Kariba Dam and spent several nights on each side. 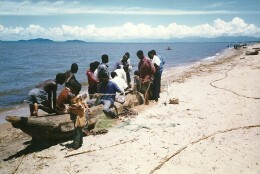 East to Malawi. 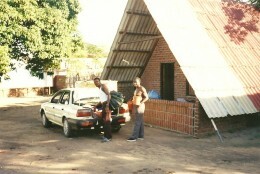 Our halfway stop was the Kacholola Hotel. 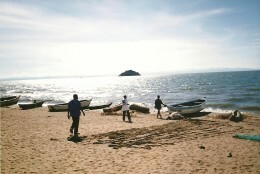 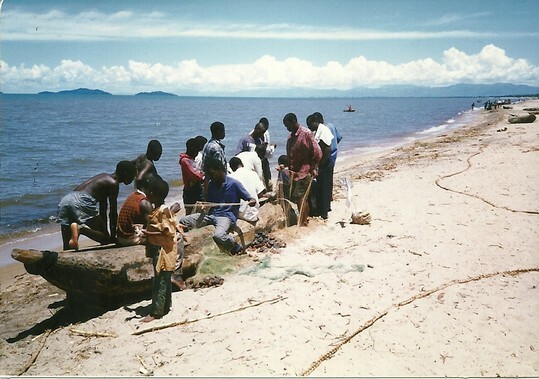 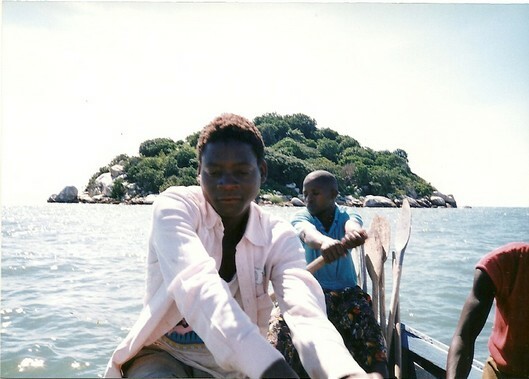 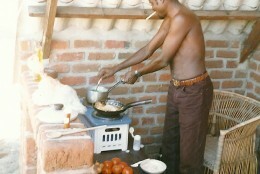 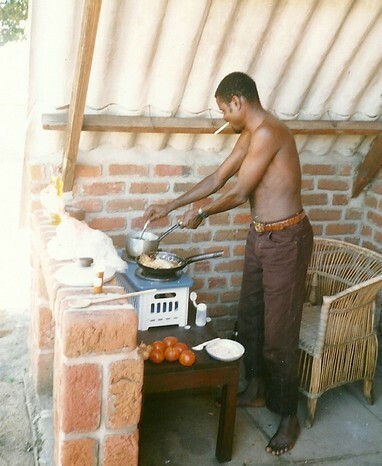 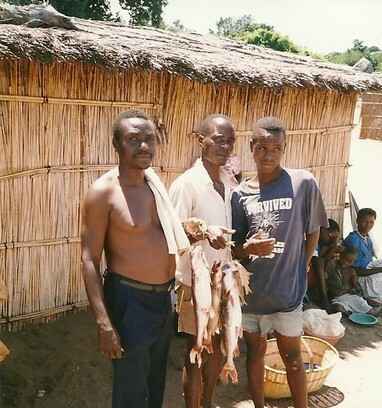 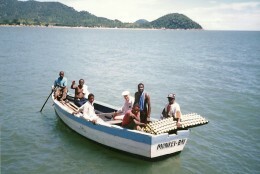 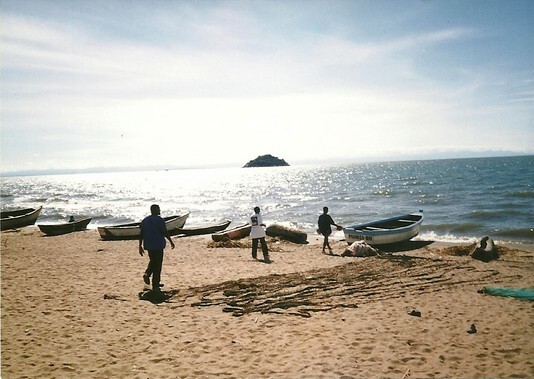 When we arrived at Lake Malawi’s shore we booked a “V” frame where our cook, Petulo, could cook outside. 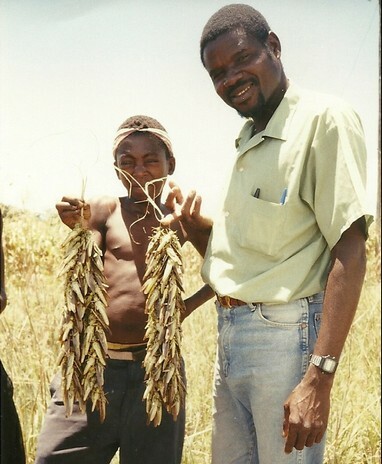 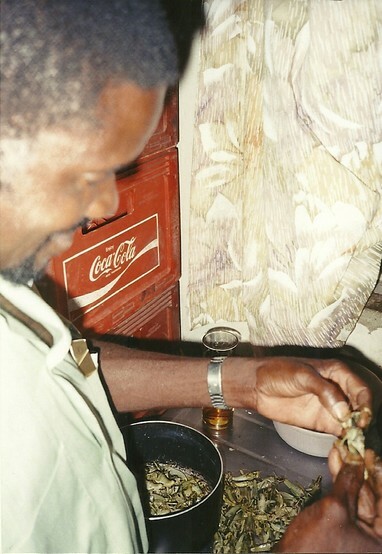 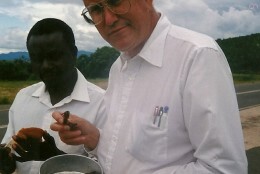 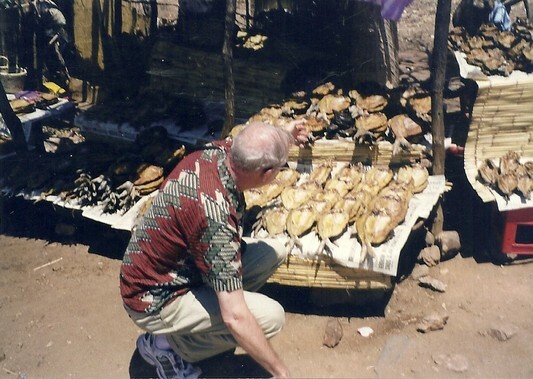 Besides fresh fish from the Lake, he prepared a healthy delicacy, locusts (i.e., huge grasshoppers). 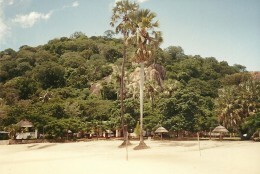 Lizard Island. 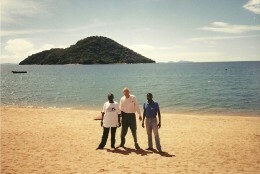 An island off the shore at Salima. 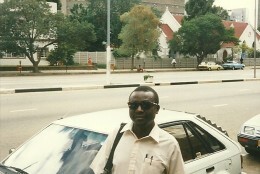 Here we met Alex Ajibuh, who would travel with us on later trips. 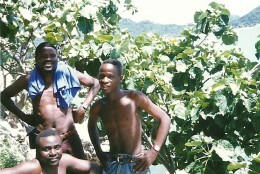 He impressed us by organizing a group of young men to taken us out to this charming island where we spent the day. 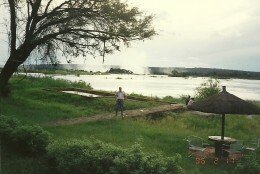 Victoria Falls and Lake Kariba. 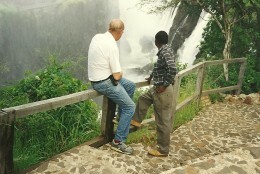 Reversing course on this hodgepodge trip, Stan, Petulo and I drove to Victoria Falls. 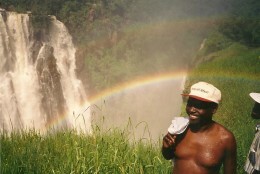 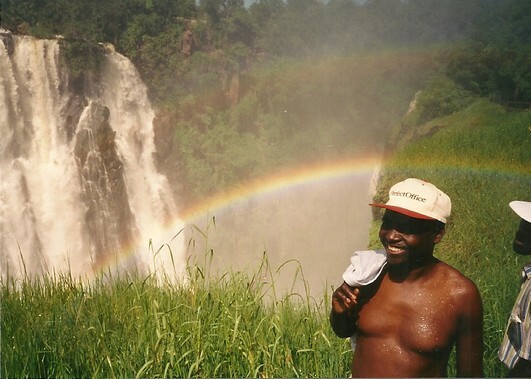 Most pictures of Vic Falls appear elsewhere, but one of Stan, the Falls, and a rainbow is exceptional. 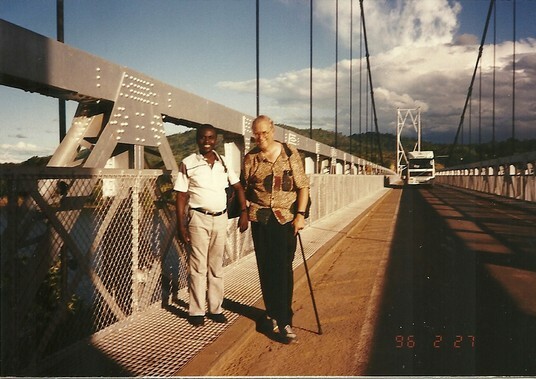 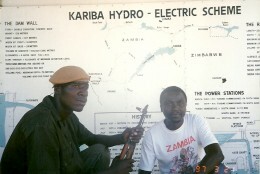 After driving back to Lusaka and bidding Petulo farewell, Stan and drove to Kariba and spent a night on each side. 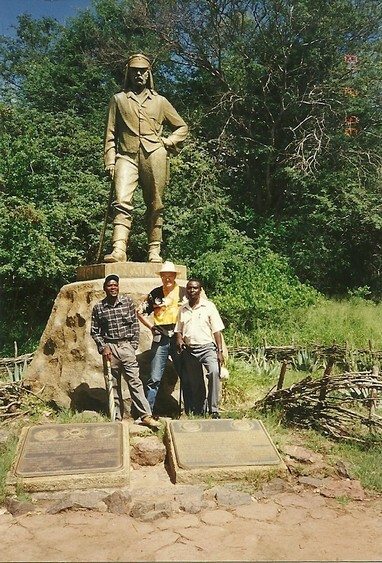 The photo of Stan with the soldier was very poignant as Kariba had been a point of conflict between Zambia and Zimbabwe only a few years earlier. 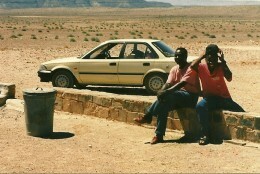 Not really 10,000 miles, but a long, long journey through Namibia and S.Af. 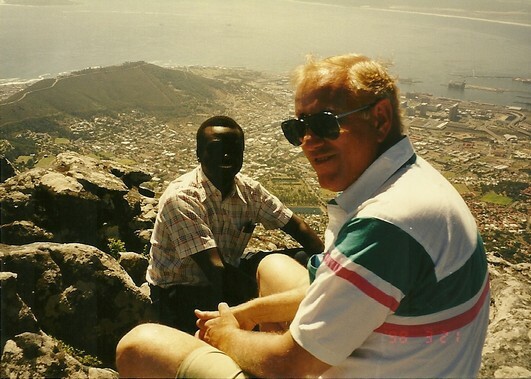 (esp. 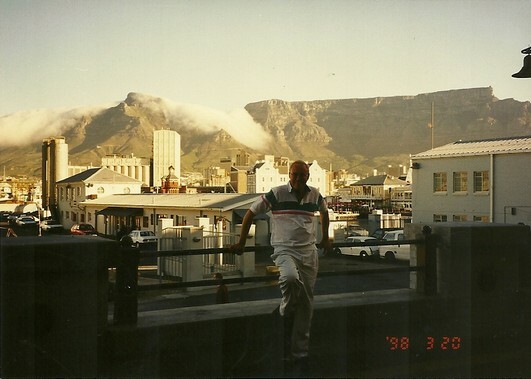 Cape Town) by car. 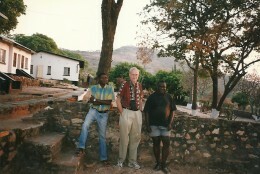 It was my most interesting trip. Stanley Kamboyi (from Chavuma in the NWP), Alexander Ajibu (from Malawi) and I literally circumnavigated the edges of Kalahari desert. 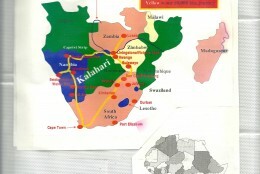 Maps of the trip show its segments. After having greeted friends in Lusaka and spending many hours in the Ridgeway Hotel’s pool, we headed south and camped next to the Falls. 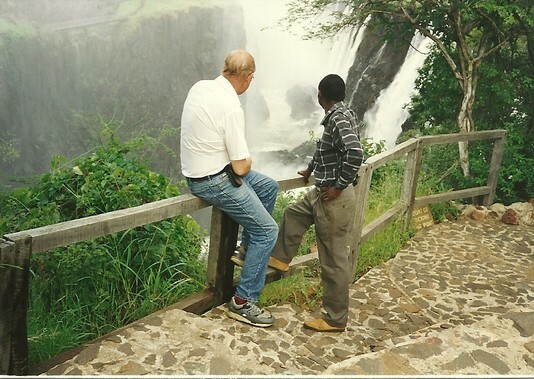 Most pictures of the Falls have been shown, but I especially liked the one below of Stan and Alex as Alex had never seen the Falls before. Despite our visual differences and age, we got along well and had one key thing in common, the love of pools and swimming! 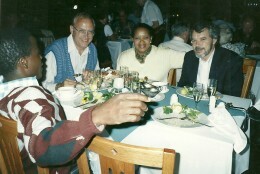 We would always indulge when possible. 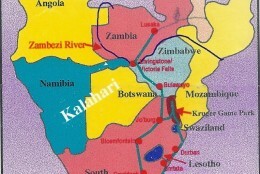 We crossed the Zambezi River west of the Falls at the junctions of Zambia, Zimbabwe, Botswana and Namibia. 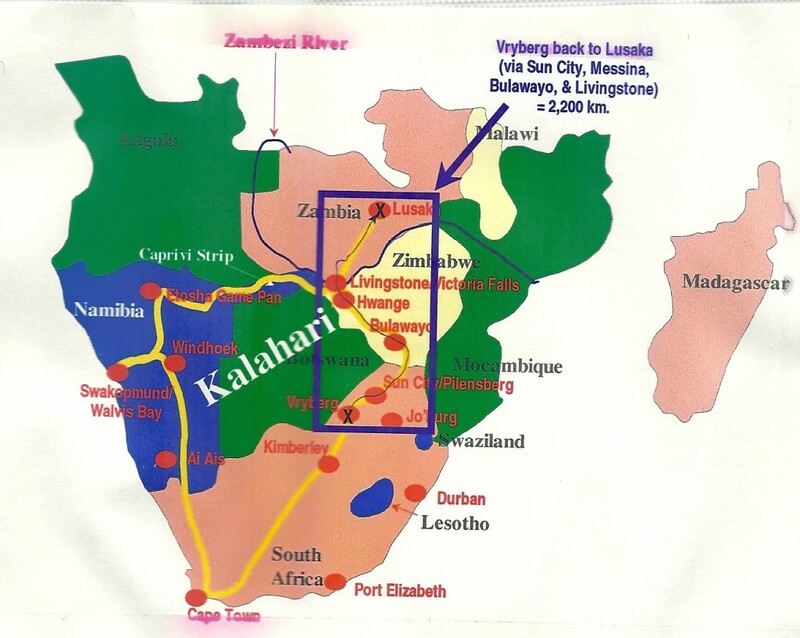 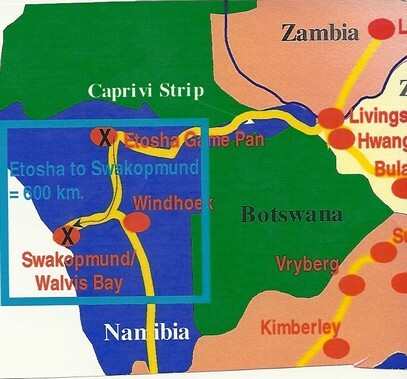 We proceeded due west along Namibia’s Caprivi Strip to the main part of northern Namibia. 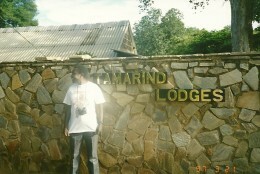 This is a very long, rather boring drive, but charming hotels and lodges gave us lovely breaks. 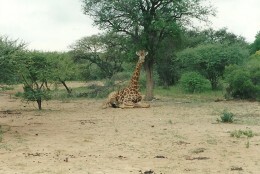 Etosha Game Park. 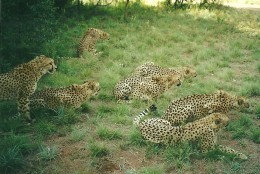 Pictures of game have been shown already. 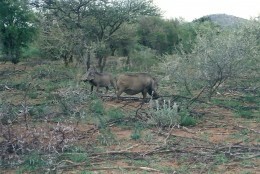 Very dry country and boring terrain but teeming with wildlife. 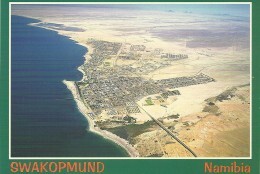 Southwest to the Atlantic Ocean coast at Walvis Bay and Swakopmund. 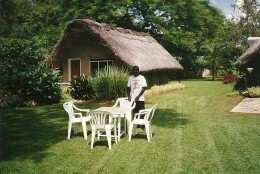 Here we spent a week. 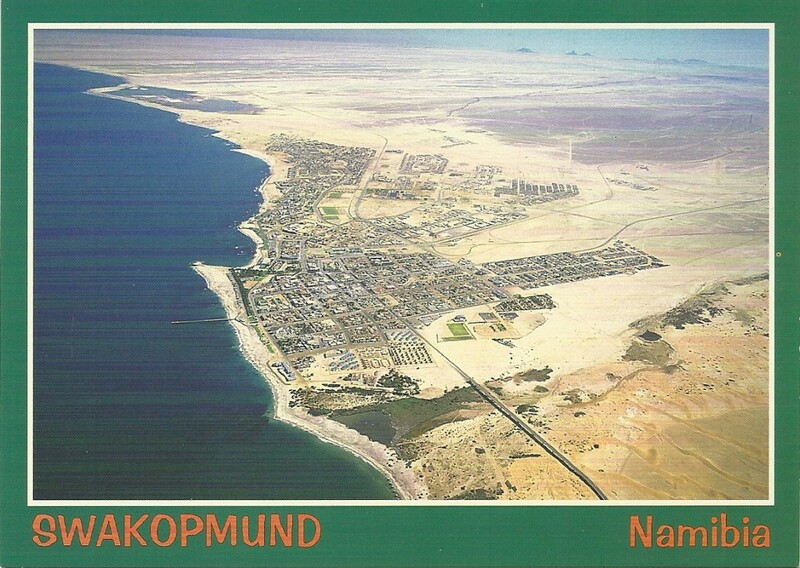 We tried to camp at Swakopmund as the nights were very cold and misty. 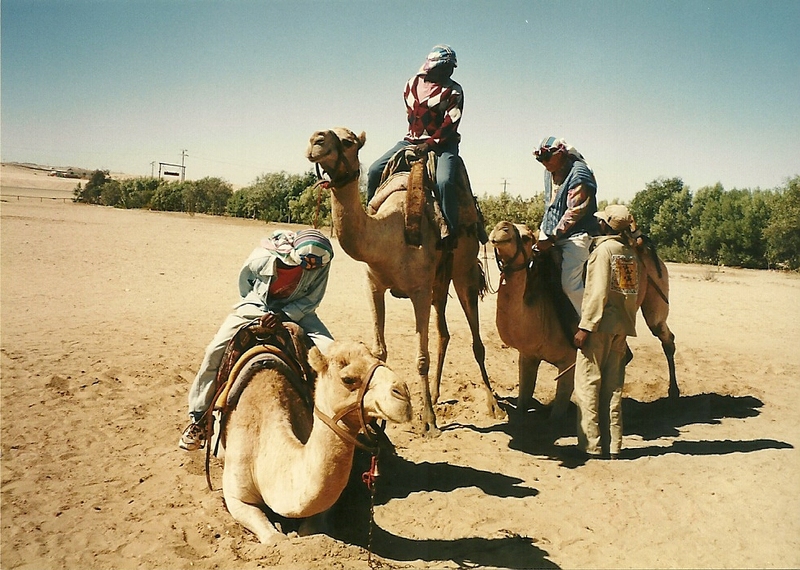 We made new local friends when we drove to the base of one of the world’s tallest sand dunes. 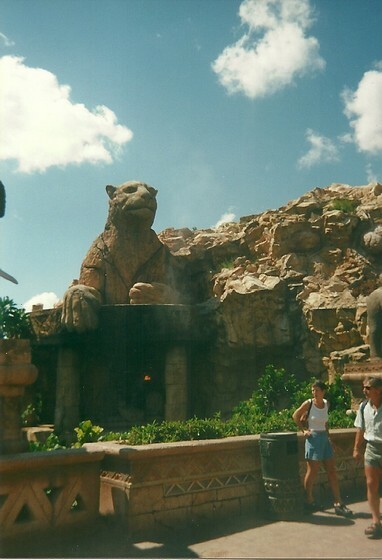 A rather unusual place to meet new people. 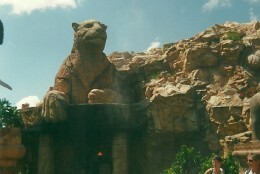 Another surprise! 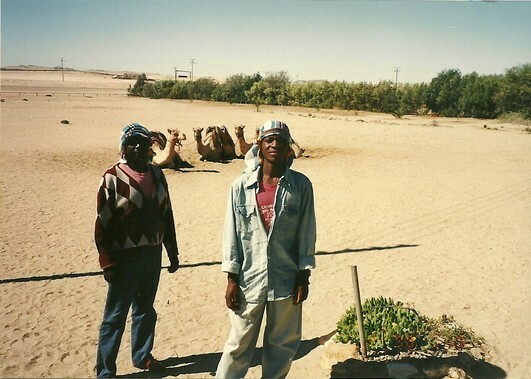 The next day we visited a well-known camel farm run by an elderly old-time German-speaking woman, now Namibian, whose ancestors settled here before World War I. 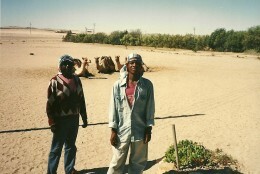 The camel farm is regarded as a “must” for tourists. We enjoyed riding the camels. 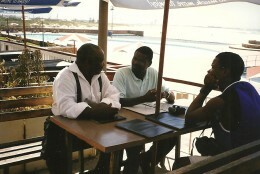 The owner, however, said something that none of us will ever forget when we went to pay our bill. Alex was our money-man as no one would try to rob him. 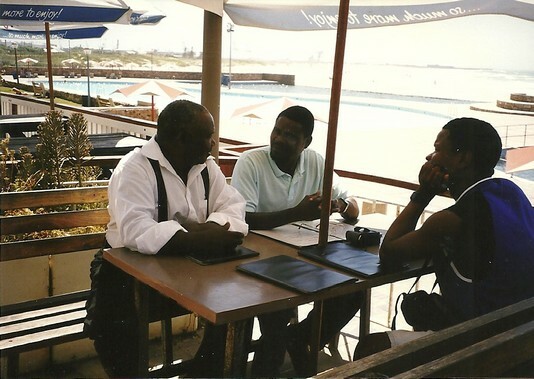 When paying, he pulled out his wallet to pay and she said: “Is he your slave who keeps the money?” We were so speechless at this odd racism that none of us replied! 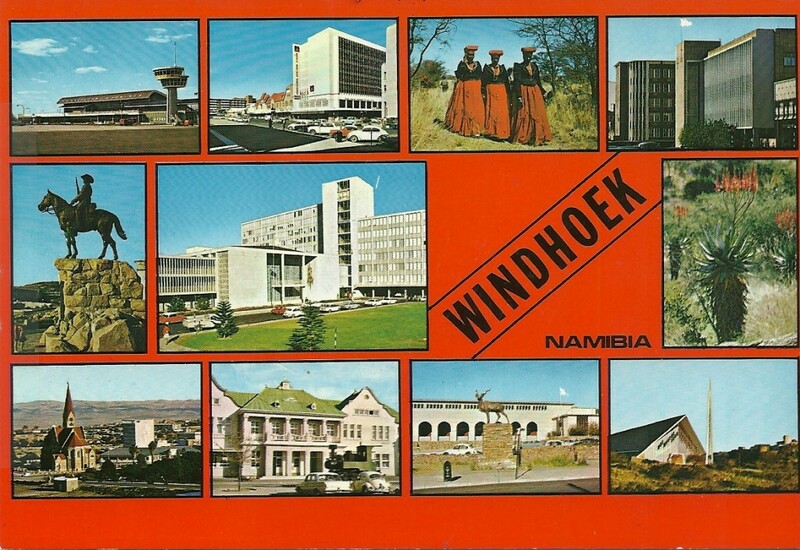 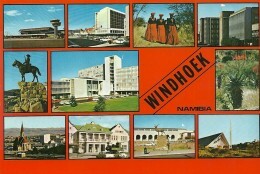 From the Atlantic Coast we went east to Windhoek, Namibia’s Capital. 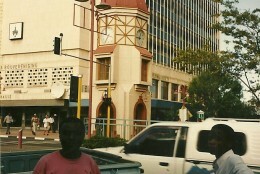 It was very modern with old German buildings preserved amidst new developments. Due south to Cape Town via the Fish River Canyon (Africa’s Grand Canyon) and Ais-Ais (Africa’s Death Valley). 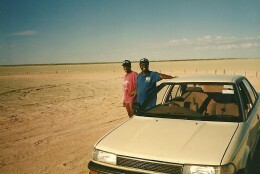 The desert was very, very hot and the trip was very boring in places. 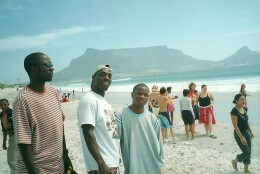 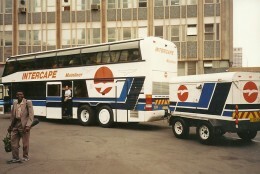 Our goal was Cape Town. 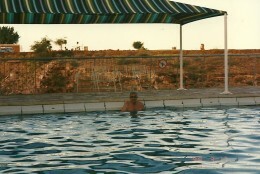 Surprisingly when we stopped for the night and tried to swim, the water was very cold! 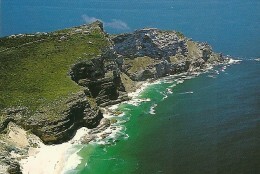 Cape Town.Many pictures have already been shown of Cape Town. 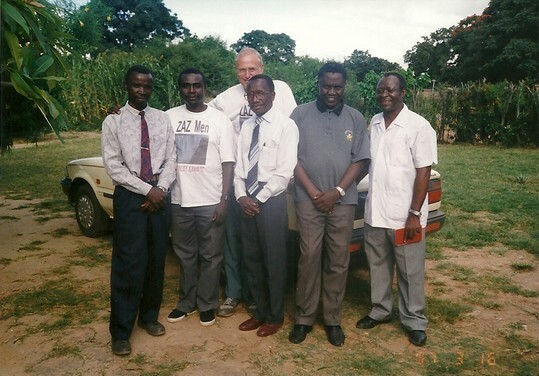 As we had ten days while repairing our car, we had the pleasure of visiting many old friends, shown in these pictures below. 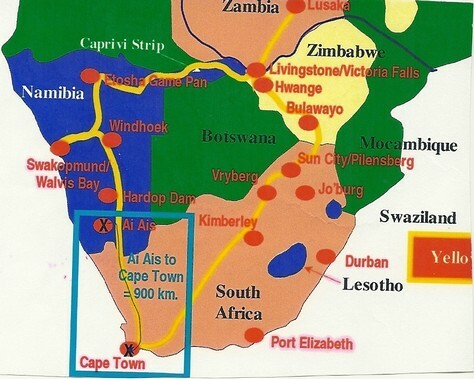 Cape Town to Lusaka: a long drive. 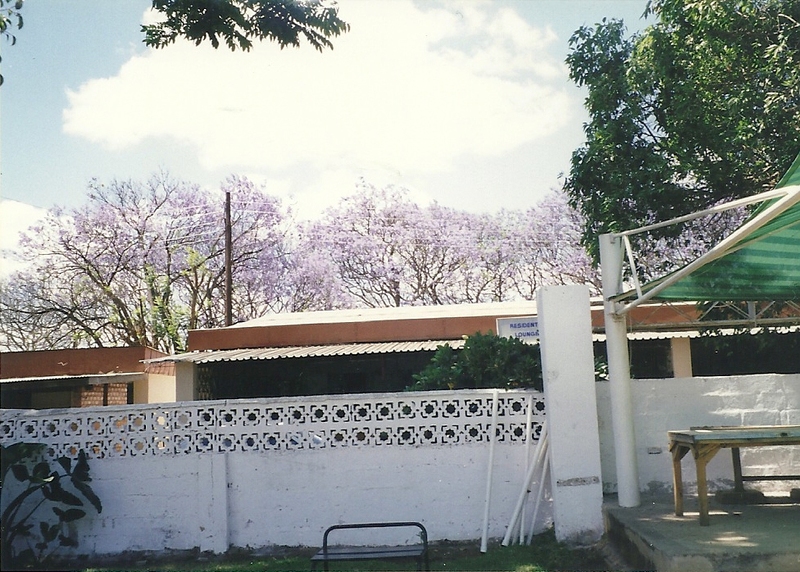 We moved quickly across the veldt, but took time to spend a night in Kimberley with its old diamond mine in the city centre. 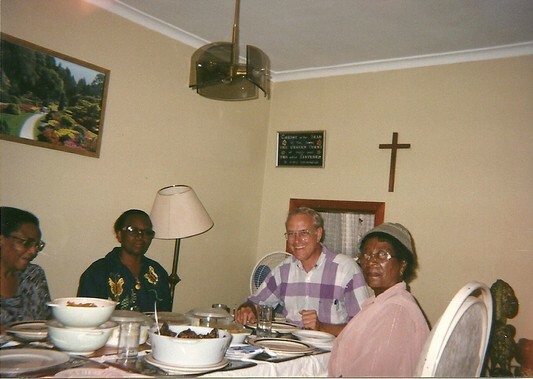 We then spent a night with my old friend, Nellie Smith, in Vryberg. 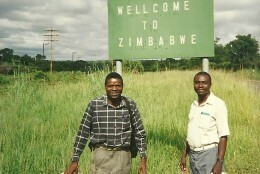 Then, we drove due north across Zimbabwe back to Lusaka. 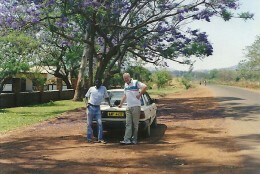 We left Lusaka and drove due south in Bwalya’s Toyota. 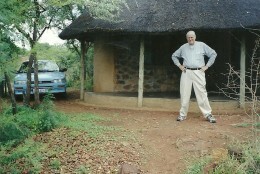 In Jo’burg, we met David Carlson and all drove east into the huge Kruger National Park, packed like sardines in the Toyota. In the next few days we drove north deep into the Kruger before returning south and leaving through the southern entrance. 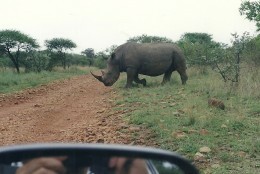 The rains were underway so the game was dispersed but still awesome. 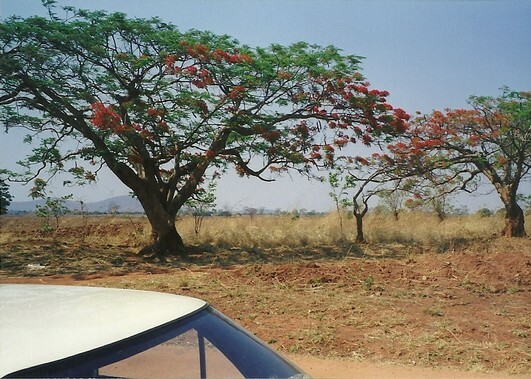 From the Kruger we headed south across Swaziland, but stopped for one night in transit. 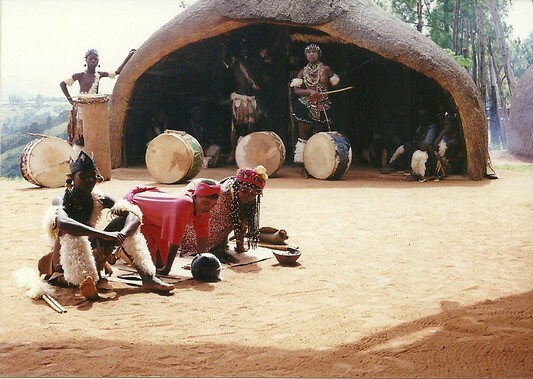 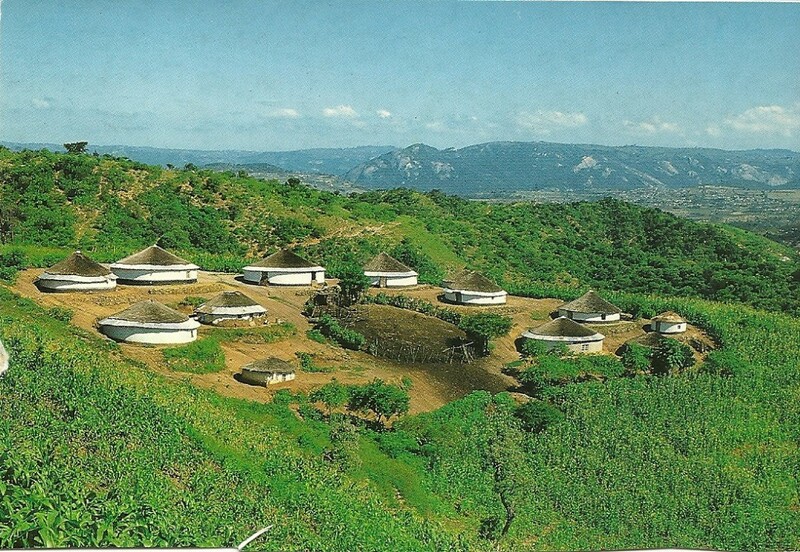 Traveling south across Zululand (KwaZulu Natal Province), we visited a tourist version of a traditional Zulu village which interested Petulo (Zambian) and Robert and Alex (Malawian) as much as it did David and I: very touristy but well done. 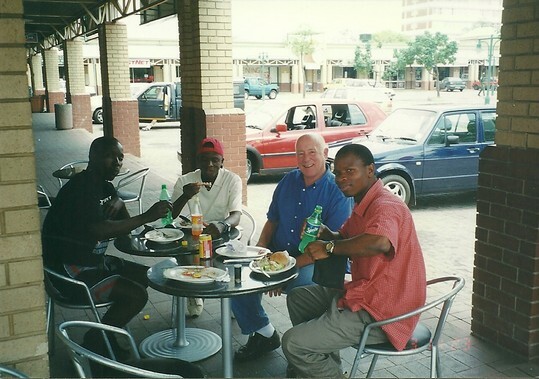 Later after we left Durban, we made a short stop in Umtata to see Winnie Zambodla who I knew well from my days in Kenya and then a later visit to NYC along with her late husband, Livingstone. 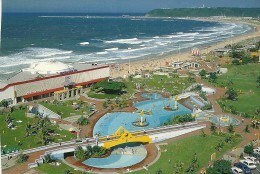 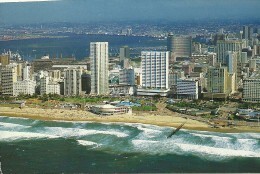 Durban. Here we spent almost a week relaxing on the gorgeous beaches of the KwaZulu Natal coast. 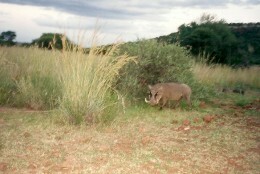 Along with the Kruger, this was a focus for this trip. 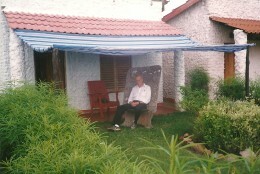 All of us thoroughly enjoyed the time: doing nothing! 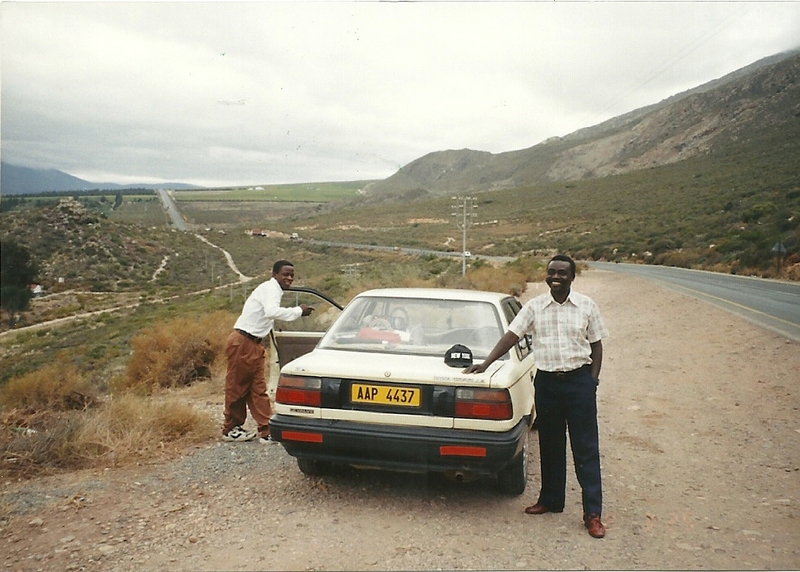 Afterwards we passed through Umtata (see Winnie Zambodla’s photo above) and Port Elizabeth. 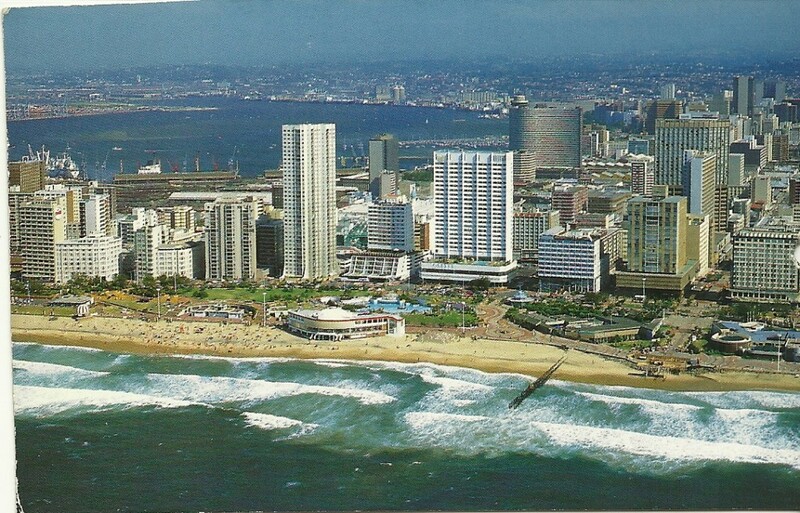 Port Elizabeth. 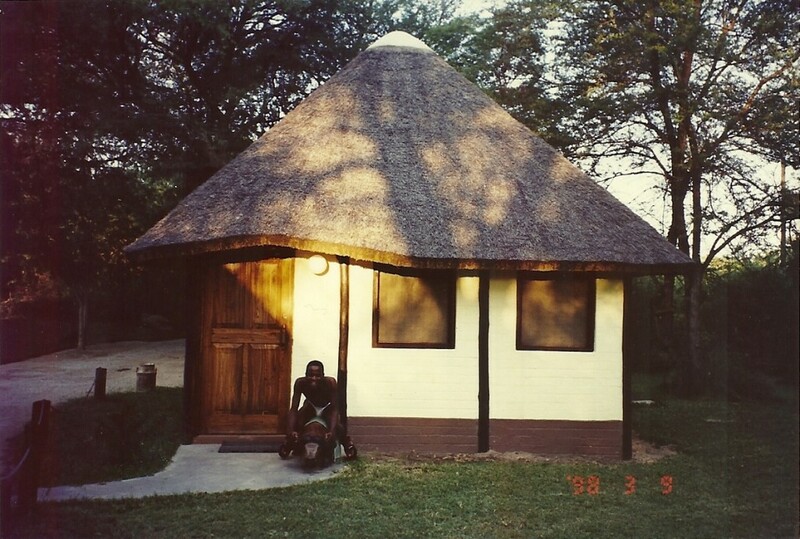 My friends and I spent several nights here. 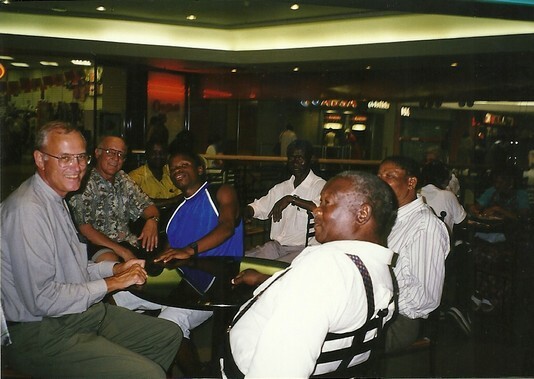 We had quality time to spend with the Gqomo family, especially Zindi and Mteto’s three brothers still living at that time: Samson, Rodgers and Sipho. 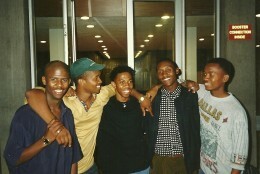 As my travel companions at this time were David, Petulo, Alex and Robert, they appear with me and the Gqomo brothers. 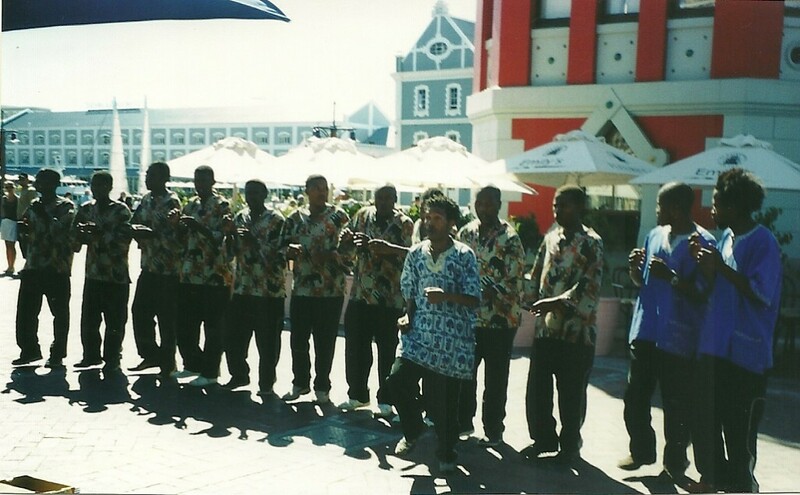 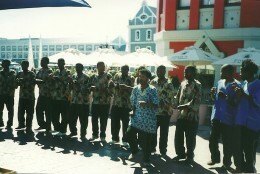 During our time here, we also had more time to hang out on PE’s great beaches and wharf. 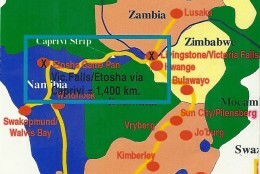 Back north to Zambia. 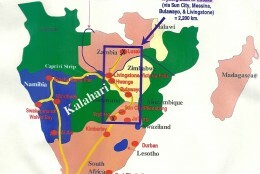 After PE, we turned due north. 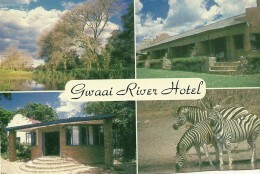 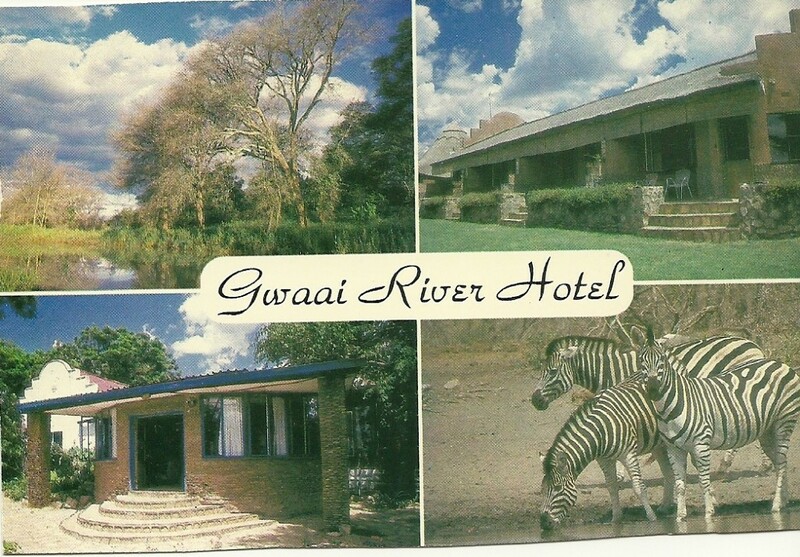 See the picture on the right (above) with the Durban pictures, of the Gwaai River in Zimbabwe and also the picture on the left below. 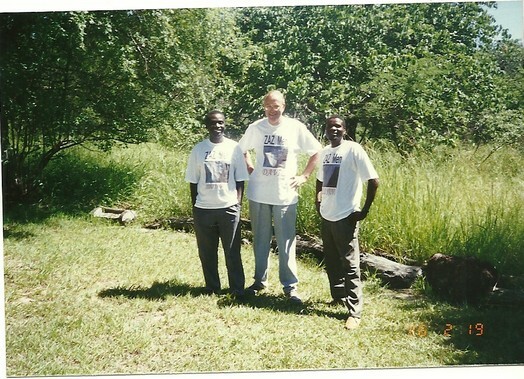 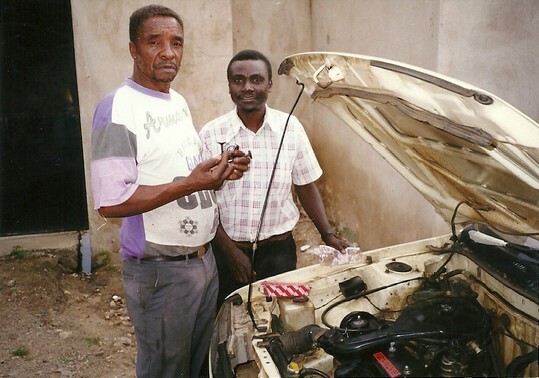 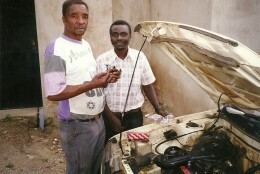 When we reached Lusaka, Peter and Stanley (who did not make the trip) and I spent a day with our chief car mechanic, who had trained Stan on a lot of things, and then spent a night in a charming camp north of Lusaka. 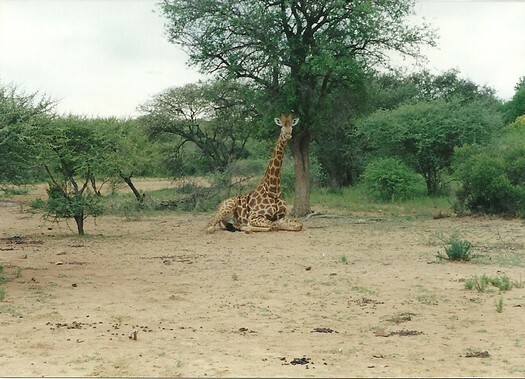 Most pictures of this trip appear elsewhere because a key purpose was animal watching, but the following indicate where we went. 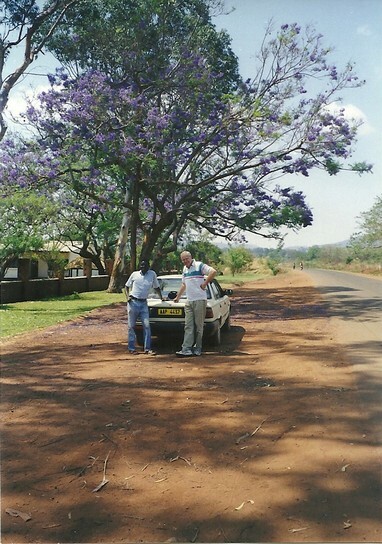 It was the dry season and the drive east from Lusaka to Luangwa was not only long but also mostly over very corrugated gravel roads. 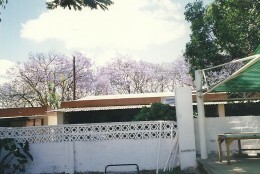 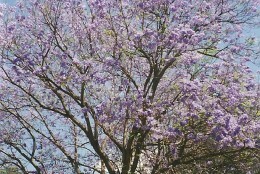 Jacaranda trees were in blossom and appeared periodically. 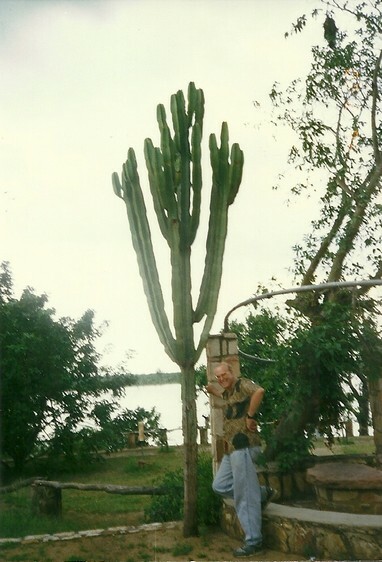 We made a charming stop in each direction at the Kacholola Hotel, a halfway stop in the “middle of nowhere.” Nearby we met a women in the remote “bush” selling her meticulously handmade baskets for mere pennies. 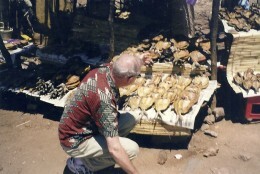 We bought them all! She had never had a photo taken of herself and had trouble telling us how to mail a copy to her. 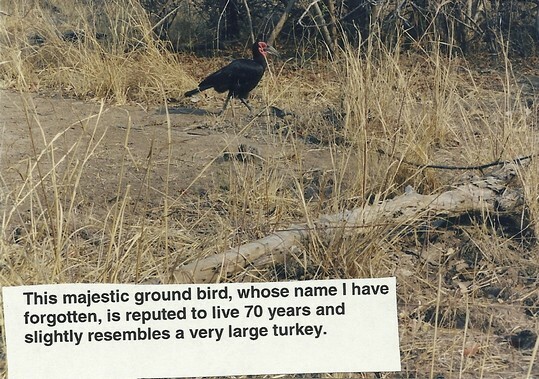 I have wondered if she ever received it. 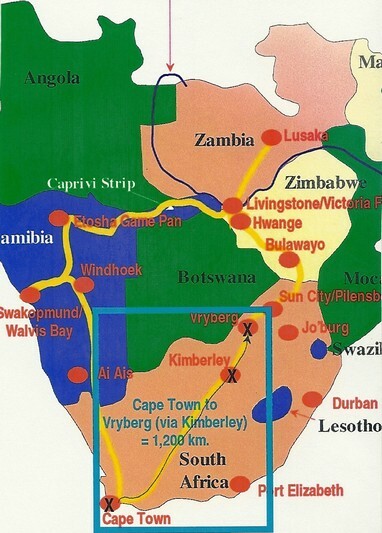 Eleven remaining journeys from 2000 to 2010. 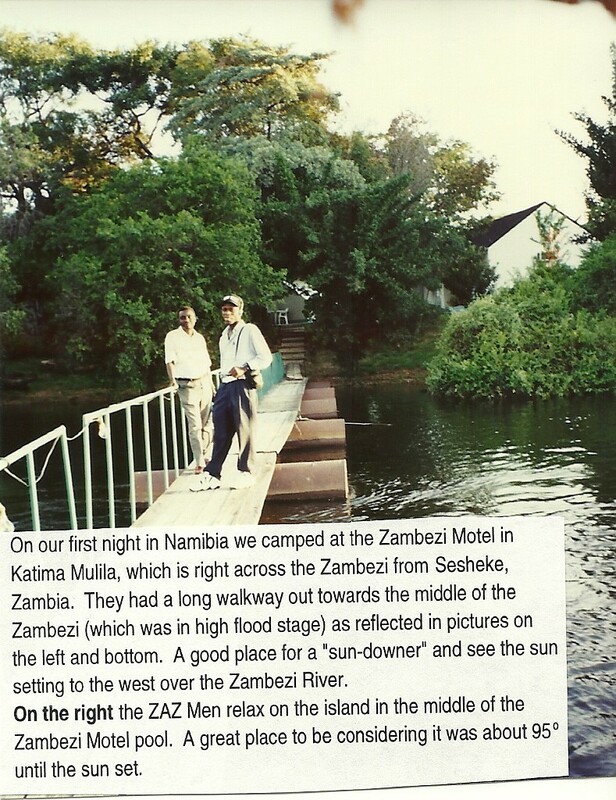 As explained at the beginning of this web page, there are no separate narratives of these. 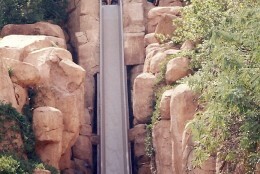 All photos are all integrated in the above sections.